Time of one walkthrough: 10 + hours. 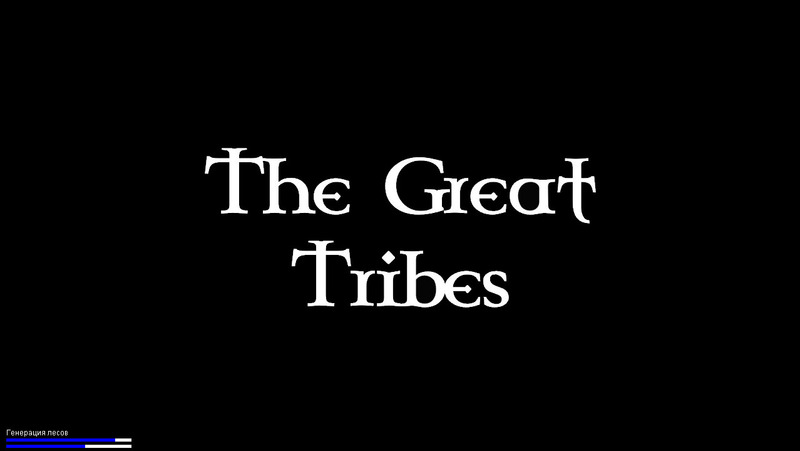 The Great Tribes is a global strategy simulator of civilization development, the action of which takes place in the historical period from 3000 BC to the beginning of 3000 AD. 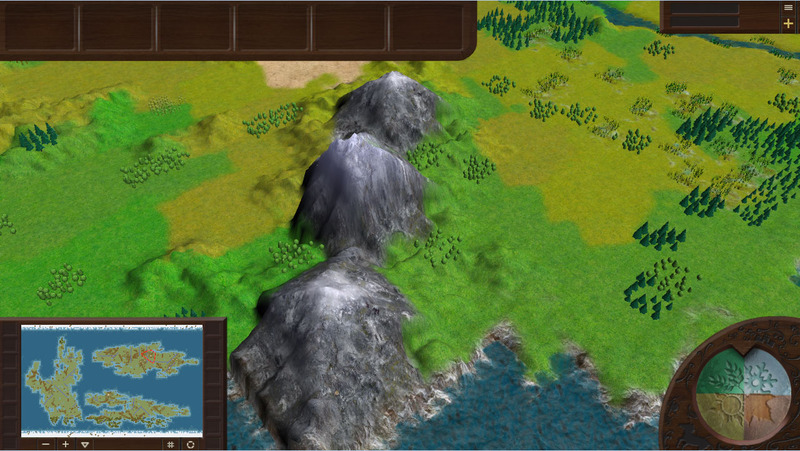 During the game the player will have to create their own unique civilization and try their hand at its development in a nonlinear, constantly changing world. Conceptually, the game is a cross between a turn-based strategy Sid Meier’s Civilization VI and strategies of Paradox Interactive (Crusaders, Europe and Victoria). Similarity with these games is limited to the time period covered in the game and some game mechanics. In our project we want to reflect the role of a personality in history, but instead of personalities history is influenced by different factions. diplomatic relations, economic, technological, cultural and social influence. The conduct of military actions between the countries in our project will be realized in a wide range, from single collisions to waging a trench warfare at a vast front. 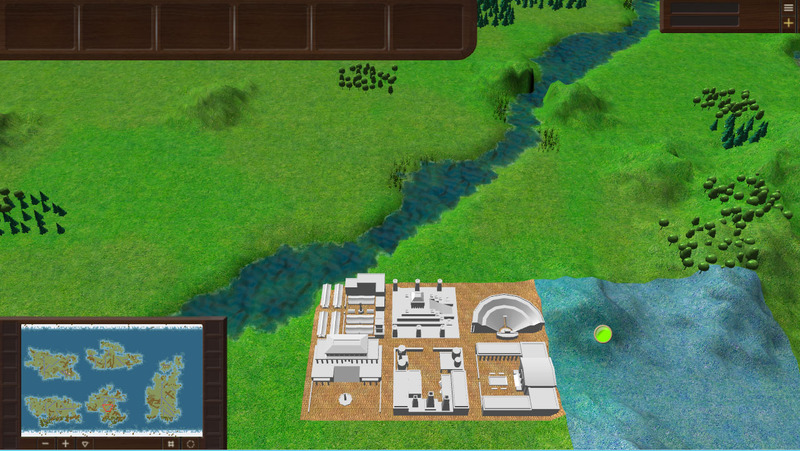 The game model is based on the results of the latest research in various scientific fields: from history and political science to geology and agricultural sciences. 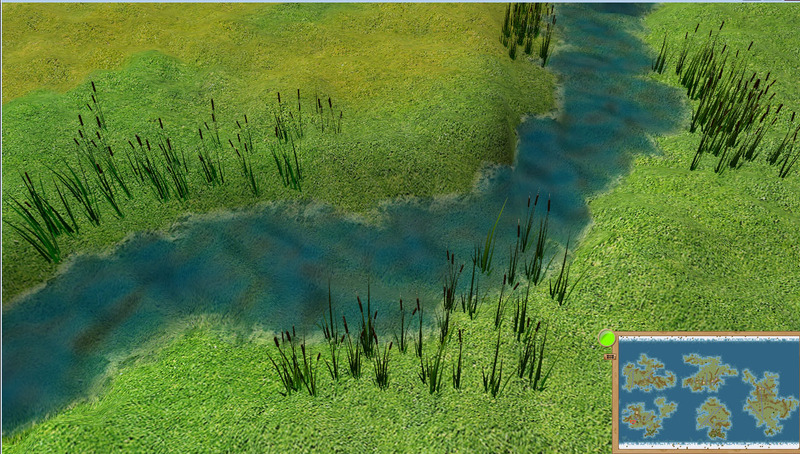 Simulation allows to simulate all the significant historical phenomena and processes. 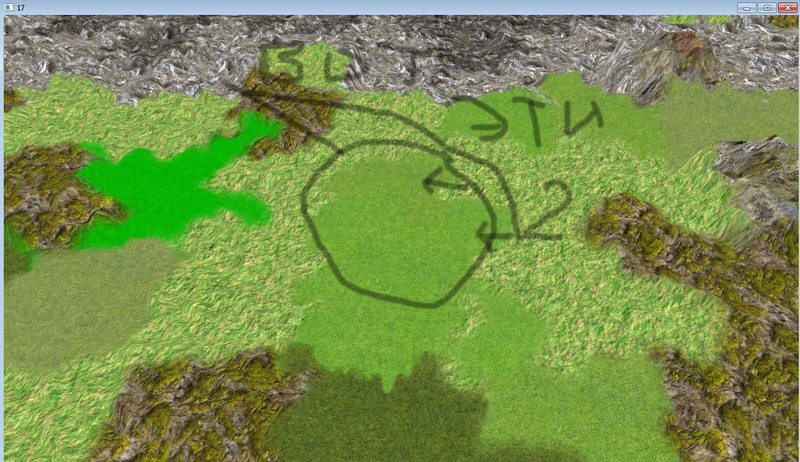 The calculation of the game turn is divided into a turn and a tick. The turn calculates global parameters: population and economy growth, migration of strata and changes in their characteristics, etc. 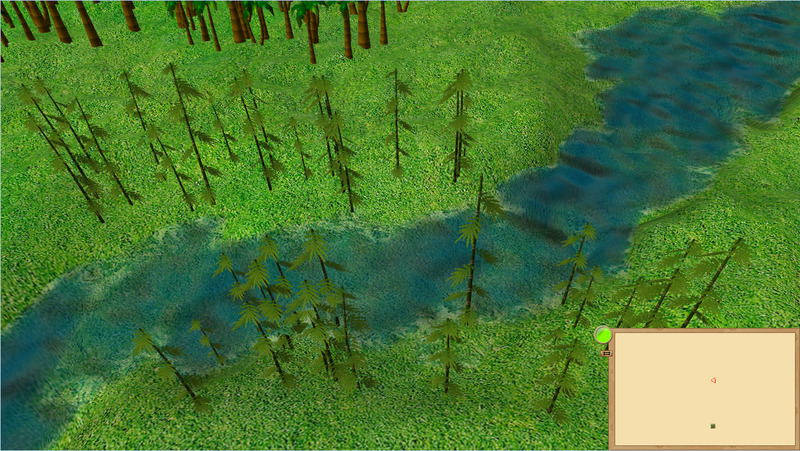 During the game it is possible to change the time step depending on the player's preferences. spring, summer, autumn and winter. Thus, the army that committed a long march-throw and entered the battle running out of action points will fight in the winter tick with the corresponding consequences. agricultural, industrial, military or social. After the discovery, the technology is embedded into one or another technology package, which has an impact on a particular game system. Mechanics of technological packages allows to make development in the game realistic and not always predictable. 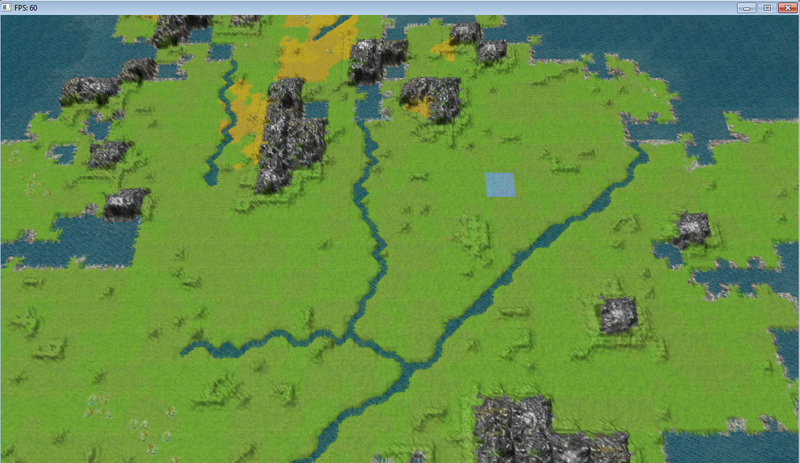 The population in the game is grouped into strata and factions. Strata determines the place of the household in the labour division while the factions are responsible for the redistribution of power in the game. For example, the insufficient number of strata workers could hamper industrialization of the country and the trade union faction can fight for the rights of this small strata. The coalition system allows to create various forms of relations between administrative units: an administrative zone and a region, a region and a country, between several countries (confederations, vassal relations, unions, etc. ), between a region and an army (government armies, feudal armies, etc.). Economy in the game is a system based on the dynamic cost of resources, goods and services. 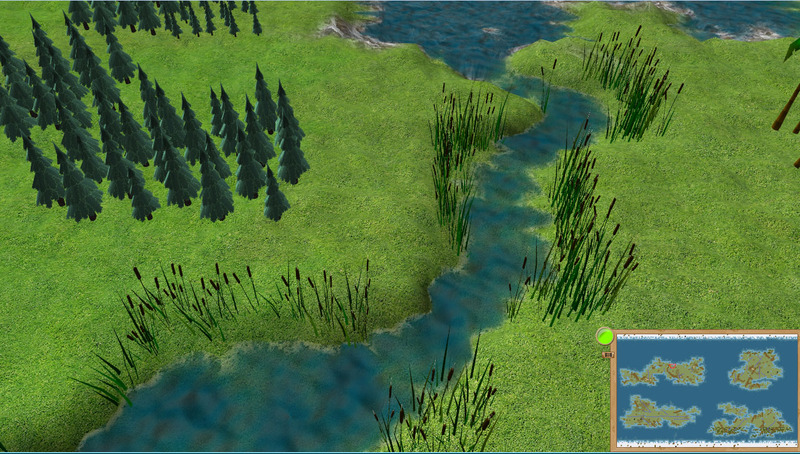 This makes it possible to simulate a variety of regional specializations, economic imbalances, etc. 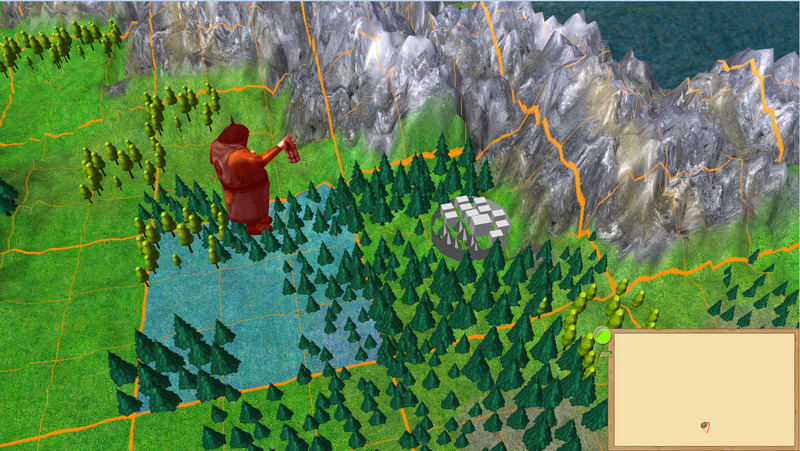 The main elements of the political system in the game are the form of government, political values, laws and corruption. The form of government is based on the ratio of five elements: barbarism, community, democracy, oligarchy and monarchy. Changing the ratio of these elements, it is possible to simulate any existing or even a non-existent form of government. Political values reflect the position of the elite on each of the political or parapolitical issues. During the game the elite (of its own free will or under the pressure of the player) can change their values, but, as a rule, it is painful and not fast. Laws allow to carry out quite a fine adjustment of the country, and corruption can help to restrain the player from excessive expansion of their power. 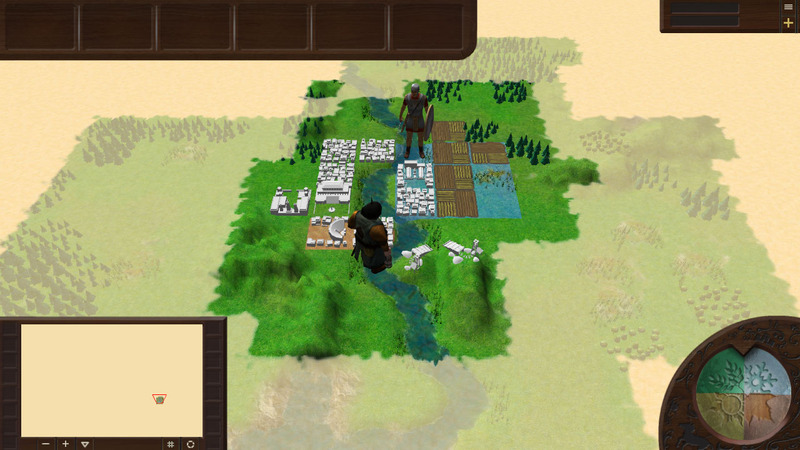 Unlike other games, civilizations in the game are formed on the basis of 4 pairs of framework principles, which can form up to 16 unique civilizations, and their combination allows to generate up to 3520 unique cultures. The military aspect of the game focuses on the strategic management of armies: formation of military doctrines, establishment of the conduct strategy of armies, determination of the optimum correlation of branches of armed forces for this or that army, etc. 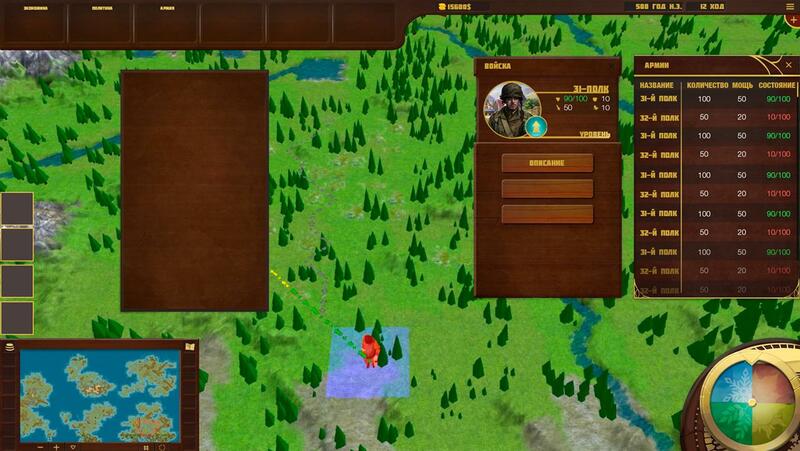 The player will be able to concentrate on planning the strategy of the military campaign. The main task of the player is to develop their country in conditions of external threat and/or internal instability. 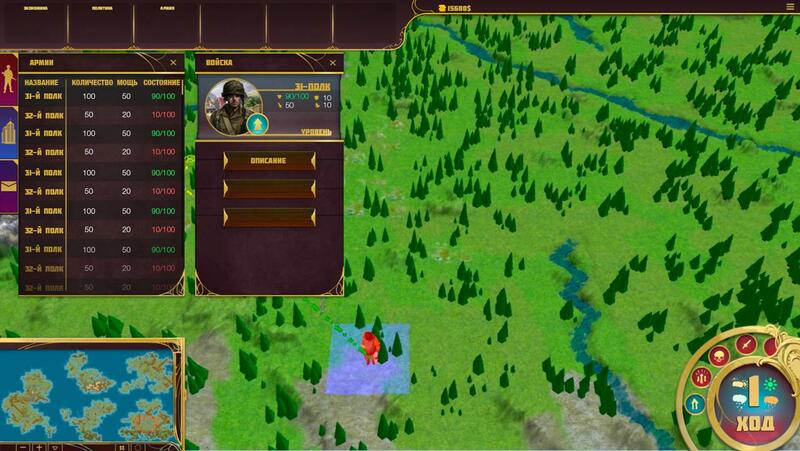 By controlling a multitude of mechanisms, the player can implement any of the goals offered in the game: creation of the richest trading empire, holding power in the role of one ruling dynasty as long as possible, being the first to implement the industrial revolution, etc. 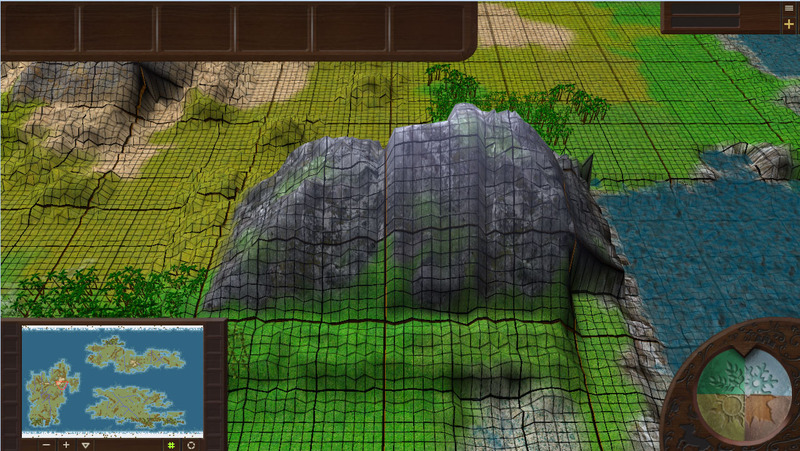 The game map is divided into tiles and subtiles. But this division is valid for the technical side of the game. 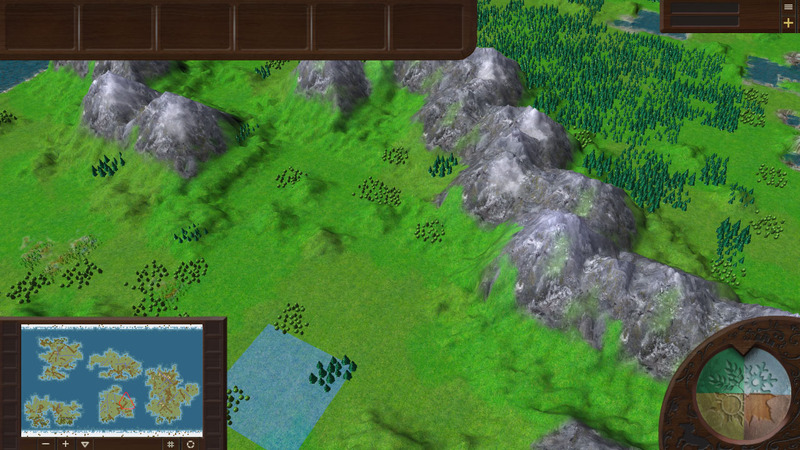 In terms of gameplay, the map is divided into tiles only. Each tile occupies an area of 1369 sq. km (this value may change during balancing). 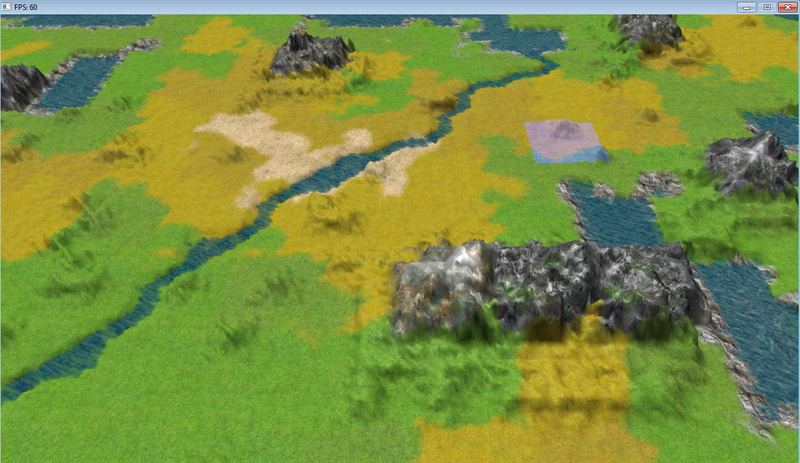 Within this area on a tile there can be located districts (in the cities), buildings (outside the settlements), the tile can be divided into different types of biomes, etc. 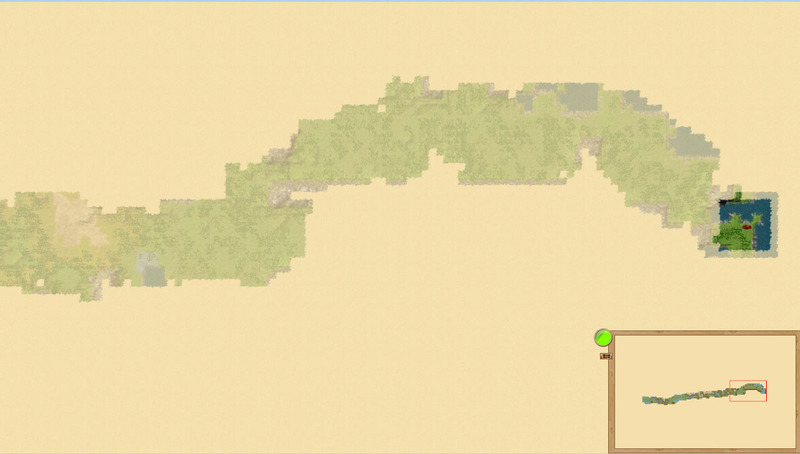 Depending on the biome, a certain amount of resources may be situated on the tile. So, it is advantageous to place fields on meadow plains, the area of which depends on the area of agricultural lands of the tile. 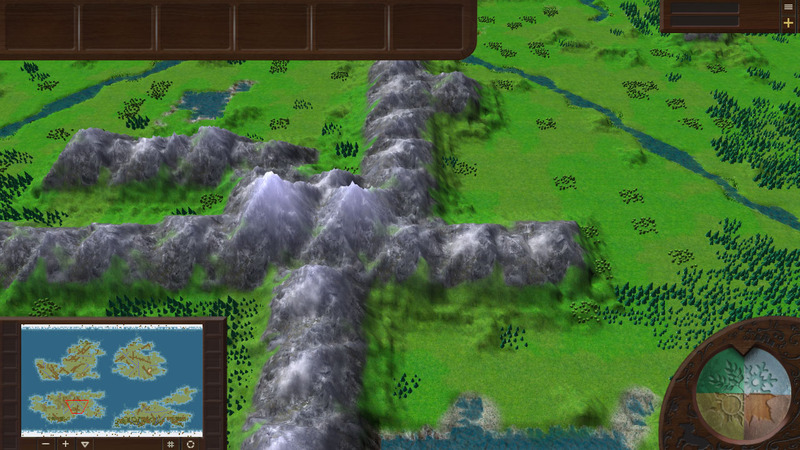 In addition, each tile has a certain level of transport infrastructure, which defines the movement speed of armies and the capacity of trade caravans. However, unlike armies, caravans can move only along the main routes which are indicated on the map. This path can change its trajectory, depending on the quality of transport infrastructure of neighboring tiles, crime rates and other factors. The closer is the tile to the crime center (the settlement of the player or another country or a bandit/pirate settlement), the higher is its crime rate. 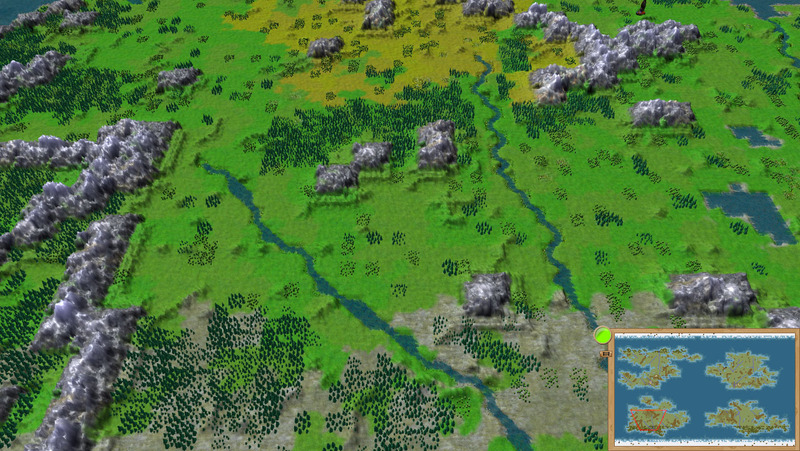 On the map there constantly appear bandit armies, so they are exactly simulated by this parameter, only without the need to constantly drive armies across the country to destroy them. Rebel armies will be represented in the form of full armies. In addition to the transport infrastructure, there is a parameter of urban infrastructure. The urban infrastructure represents the level of development of various services and engineering networks of the settlement (accessibility and quality of utilities, communication facilities, urban transport, catering, retail, emergency services, etc.). Urban infrastructure is available not only in cities but also in villages. 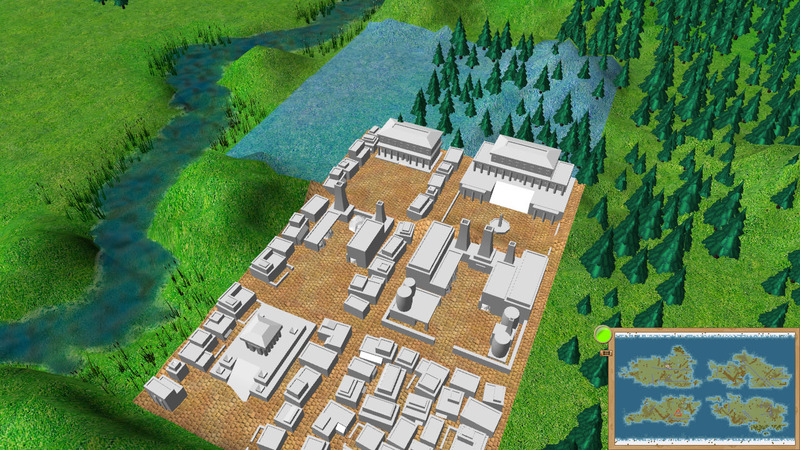 To create favorable conditions in the settlements the player will have to balance between the development of transport and urban infrastructure. The game has three levels of control: a country, region and administrative zone. An administrative zone is a territory with dynamic boundaries, being controlled by the settlement. Within this territory, residents of the settlement can build anything within the framework of the ongoing development programme. 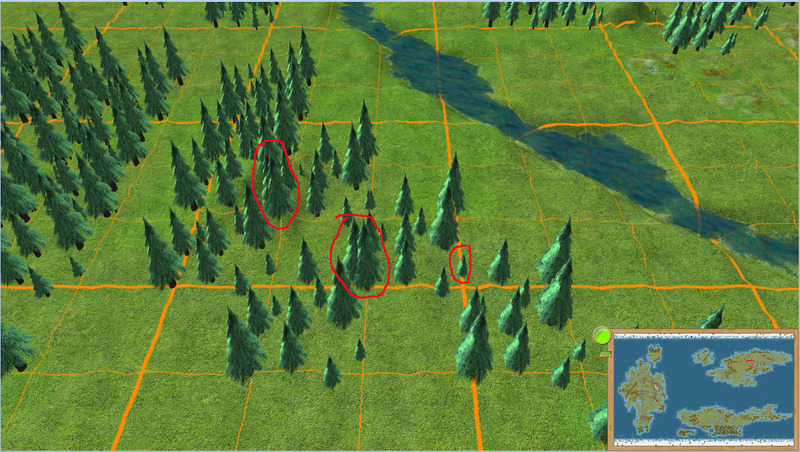 All types of settlements without exception have this zone, from villages to cities. 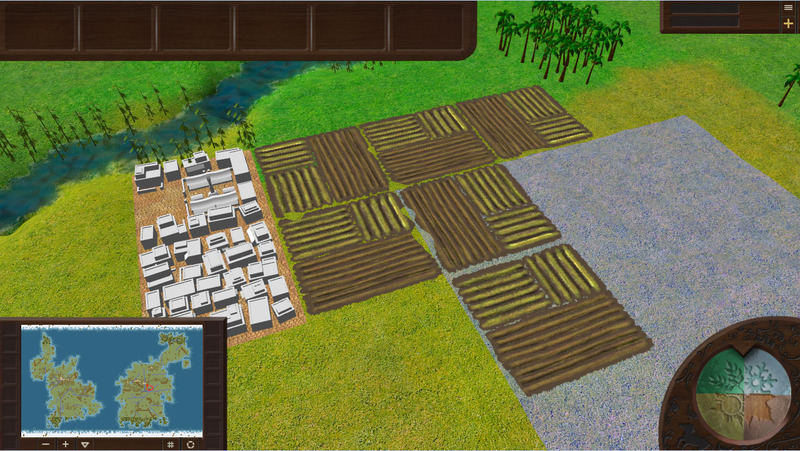 If a city in the region forms a new region, all the tiles in its administrative zone also become part of the new region. Administrative zones are grouped into a larger formation – a region. A region is a territory with dynamic boundaries, consisting of a certain number of administrative zones. It necessarily includes the capital city of the region. Unlike the administrative zone, a region can simultaneously be a country (consisting of one region). 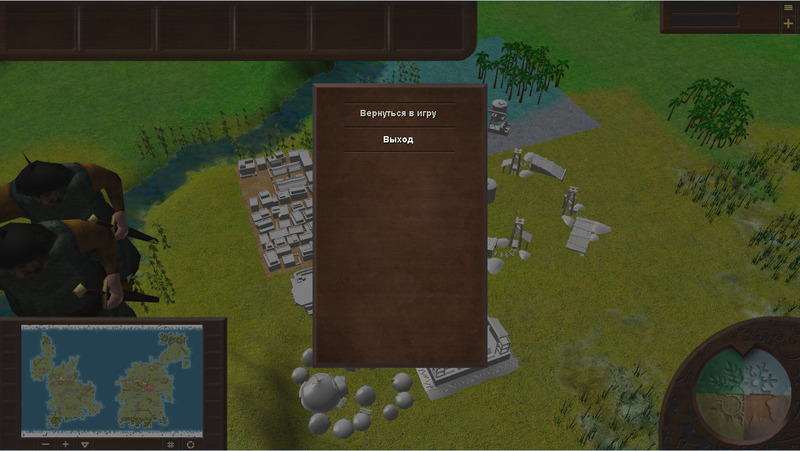 In addition, the player can directly manage it (whereas administrative zones can be managed only through legislation). A country is the highest level of control in the game (not counting international coalitions), representing one region or a coalition of regions. A coalition means not the country's federal structure, but the system which defines relations between different administrative units in the game. Each country has a capital, and as a consequence - the capital region. The region of this type has the same functionality as a usual region, but in addition it hosts the highest state bodies: ministeries and the advisory board. Each level of management has its own central settlement. 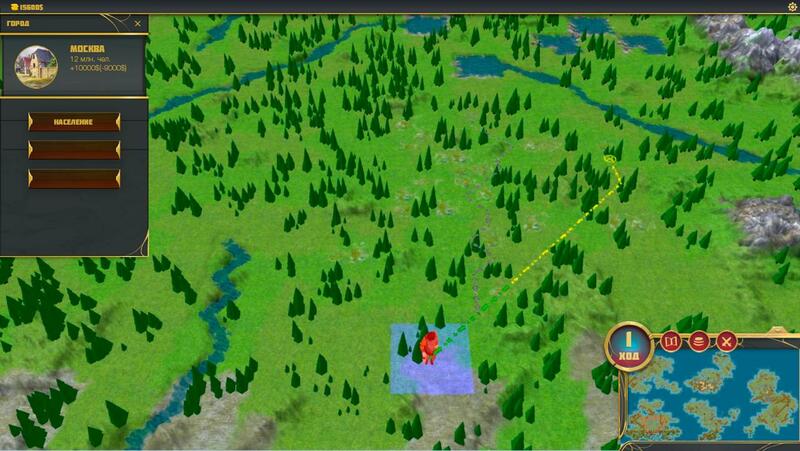 It can be a village (only for the administrative zone), city or encampment. A village is a type of settlement focused on food production or resource extraction. 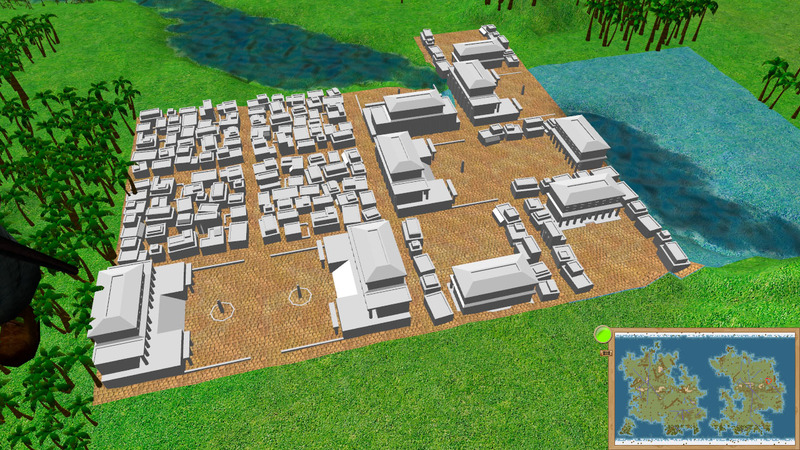 Over time a village can be upgraded into a city. The game presents 3 basic types of villages: agricultural, resource-extracting and military. An agricultural village is oriented to the processing of farmland. 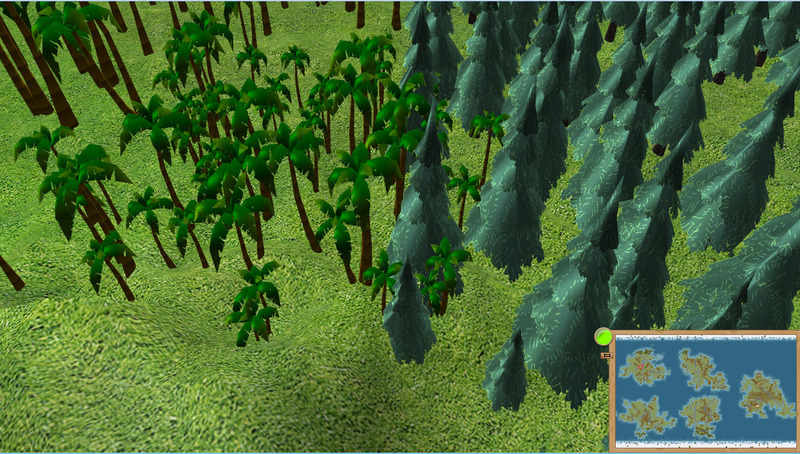 A resource-extracting village is focused on the extraction of minerals. The type of resources that are extracted depends on the demand for the resource. 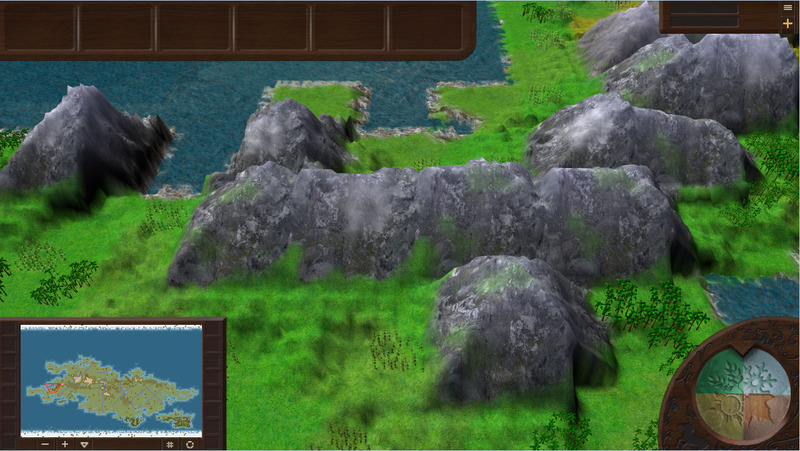 A military village generalizes a variety of villages, the inhabitants of which are hostile to the player. A rebel village: village troops will defend their village and their independence. A village becomes rebellious if the population's loyalty to power is too low. 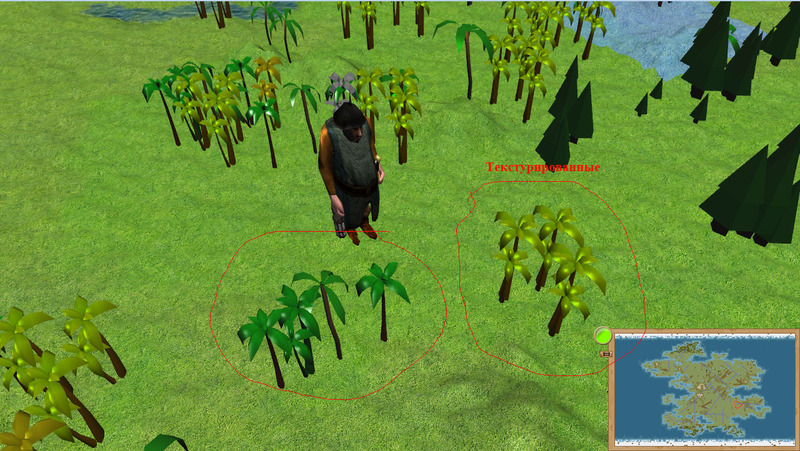 A bandit (pirates) village: village troops will attack the settlements and trade routes located nearby. A village prefers to move into this state due to absence of legal means to maintain an acceptable standard of living. The given types of villages are conventional. All villages have the same characteristics, but their chosen vector of development depends on the demand for a particular resource, or on the level of loyalty to power. New villages in the game can be formed either automatically or due to a certain decision. The place of automatic appearance of villages is determined on the basis of attractiveness of adjoining territories for processing, and also is located at a certain distance from other settlements and processed tiles. 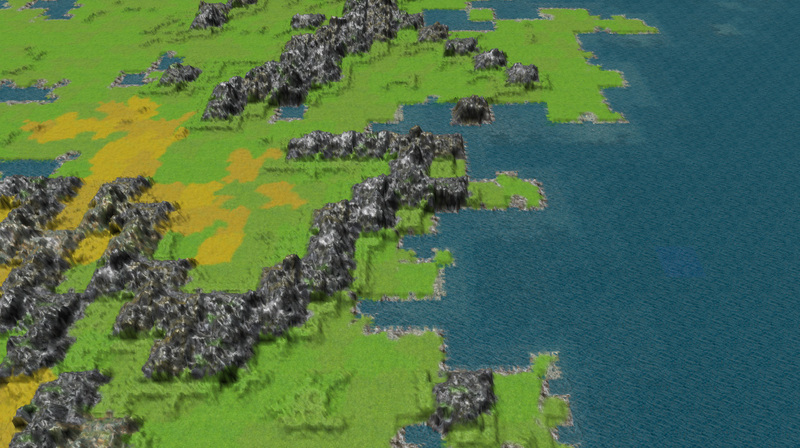 As the population of old settlements rises to some level, the chance of a new village emerging at some distance increases. 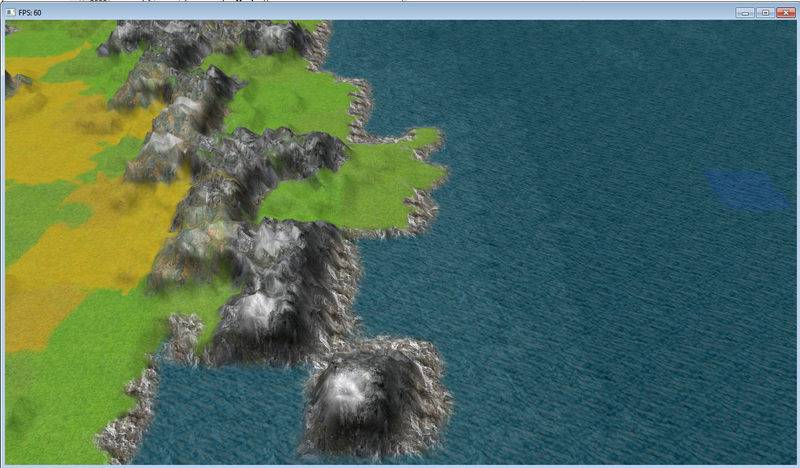 Its population will not appear out of nowhere, but it migrates from the settlement. 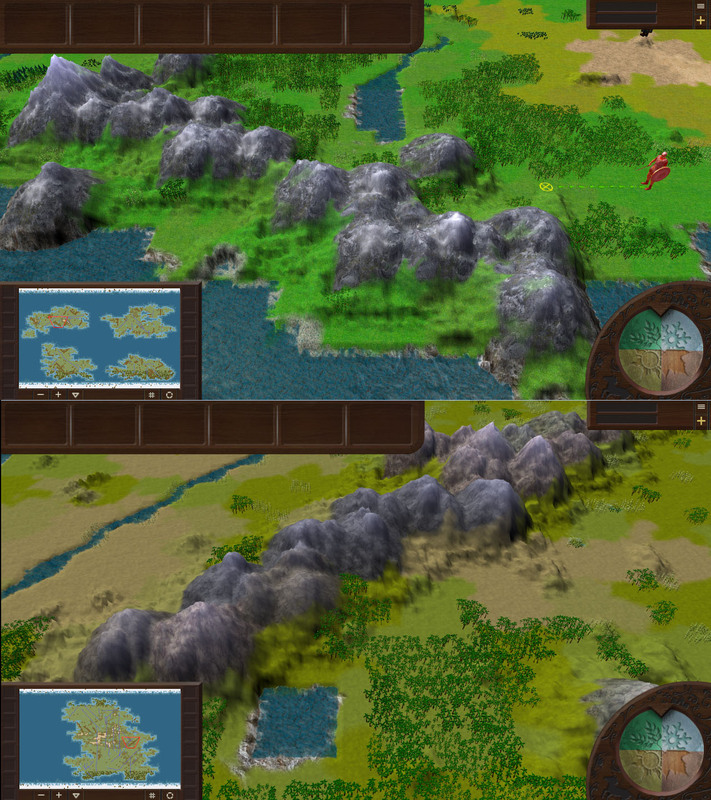 New villages can occur both inside and outside the region. 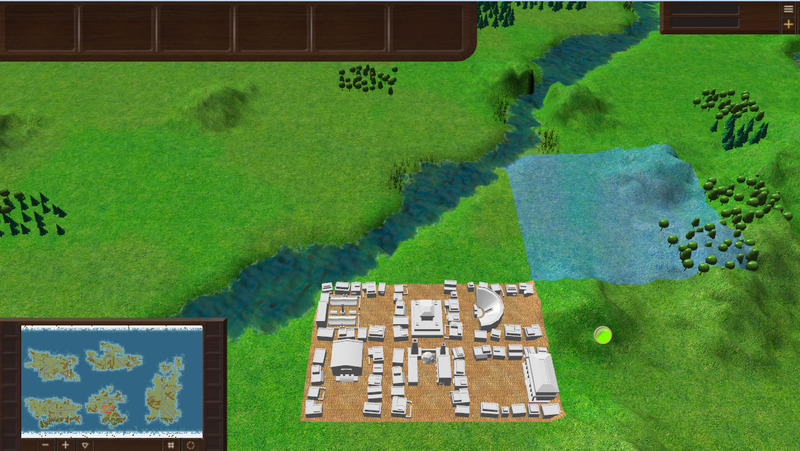 Encampment is a type of settlement of nomadic cultures, able to move to other tiles. Settling, nomads form a village or city (depending on the size of the nomadic group). 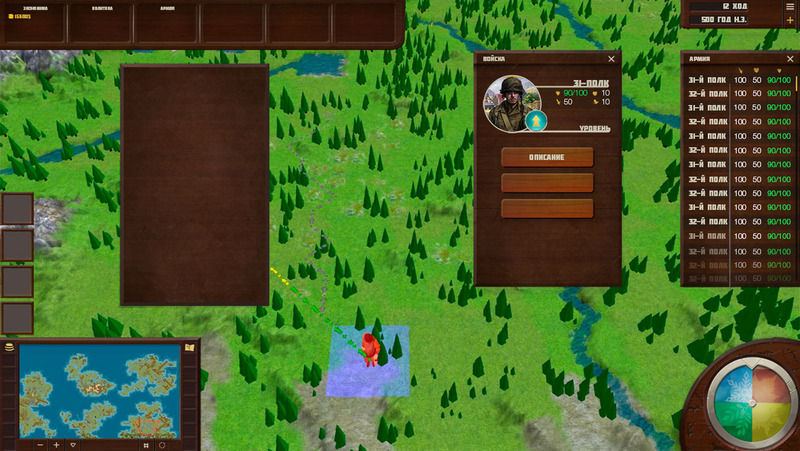 Unlike a city, playing for encampment is concentrated not so much on the management of the population, but on the management of tribal clans (factions). Each clan has its own encampment. The elite of each nomadic group includes every member of the clan. However, the encampment can include residents who are not part of the clan (slaves, mercenaries, etc.). The more solid (controlled) the clans are, the stronger the tribe is in clashes with other nations. This clan structure of the society is typical of all countries with barbaric elements of government. However, in settled states clans do not always act as the elite of the settlement. In addition, unlike cities, change of dominant elites in the tribe occurs not gradually through transfer of population from one faction to another, but via change of the fraction status. 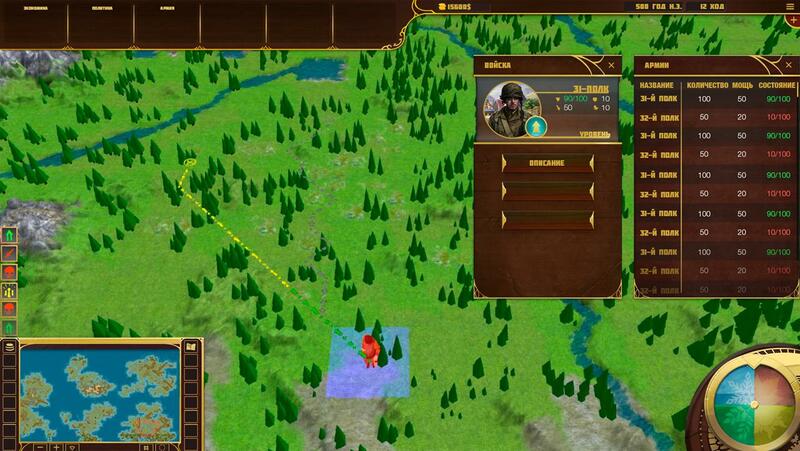 In game mechanics it is represented in the form of change of the capital nomads and status of the elite. moving all the nomads manually with a sufficient level of control. Poorly controlled nomads are moved in automatic mode. A city is a type of settlement with multiple forms of activity, but with a certain specialization. 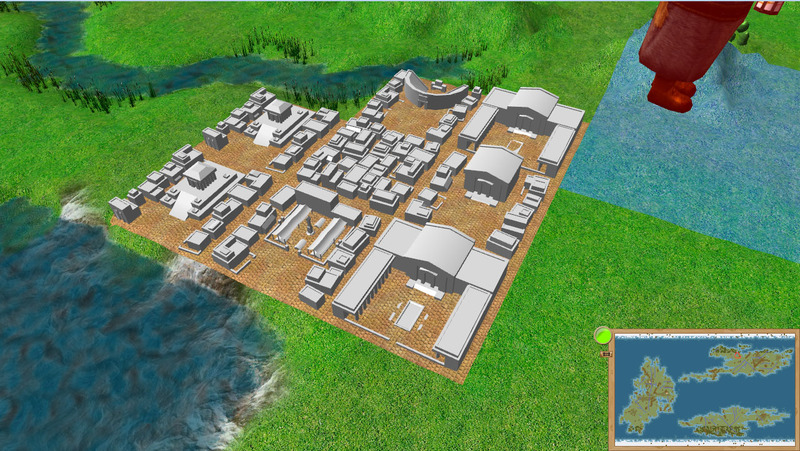 A city is not necessarily a result of the village development, but it can be built from scratch, or formed from the outpost (see Regional buildings). 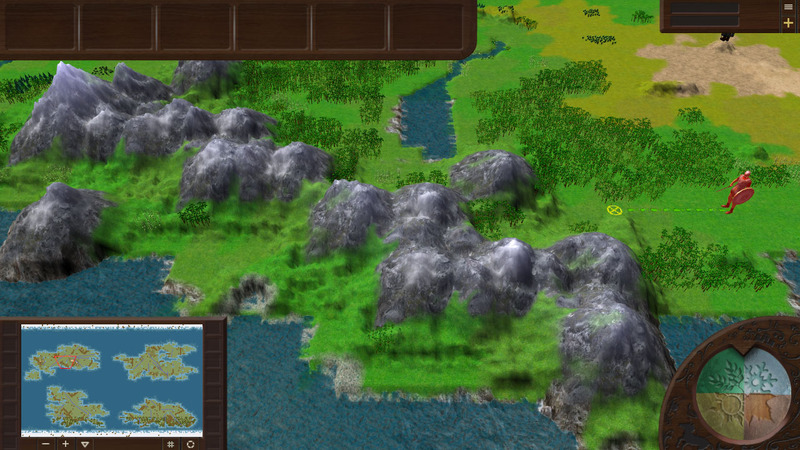 Unlike a village or encampment, a city that is the capital of a region or country can have up to three Wonders of the world (one of each level: regional, national and international). The higher the city is placed in the hierarchy (a provincial city - the capital of the region - the capital of the country), the greater effect its specialization produces. So, if the player decided to build a huge empire, it is better to establish an administrative center as the capital (for the control of large territories), for a trading empire it should be a trade center, and for theocracy it is more preferable to assign a religious center of a state religion, etc. The difference between a city and a village: a city has a more developed social infrastructure; it occupies a certain area of the tile and when it is exceeded, it expands to a neighboring tile; a city creates an administrative load; it is possible to construct wonders of the world (in capitals); it has diverse stratification and division into districts. A social district provides the population with housing and urban infrastructure. Six of the listed districts can be built in the city center and determine its specifics. In addition, the effect of all districts depends on the location of the city – it can be situated near the shore or in the depths of the continent. Cost includes resources needed for the region expansion. 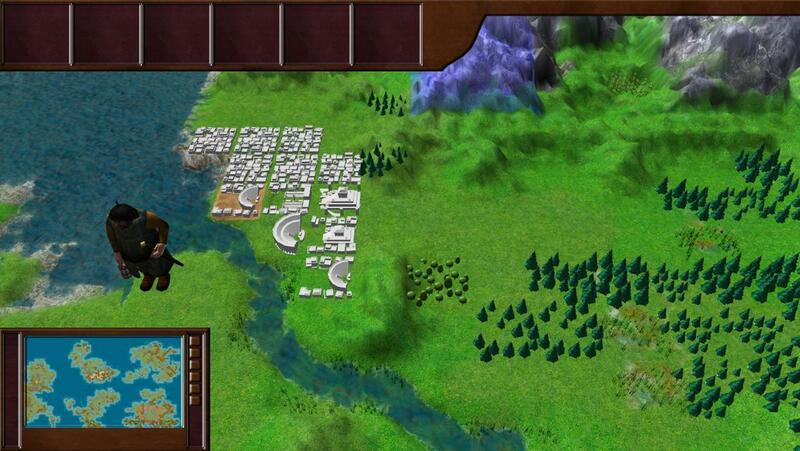 Content includes resources necessary for supply of the district during each turn. Workforce is the number of working hands required for the efficient operation of the district. Area is the area given and available for expansion. Effect stands for the bonus-malus payments, received in the course of functioning of the district. Instead of usual constructions three types of wonders of the world are built in cities: regional, national and global. The effect of every kind of wonders is spread according to their scale. The list of wonders available for construction in the city depends on the central district of the city. And the effect produced by the district will be determined by the chosen wonder. 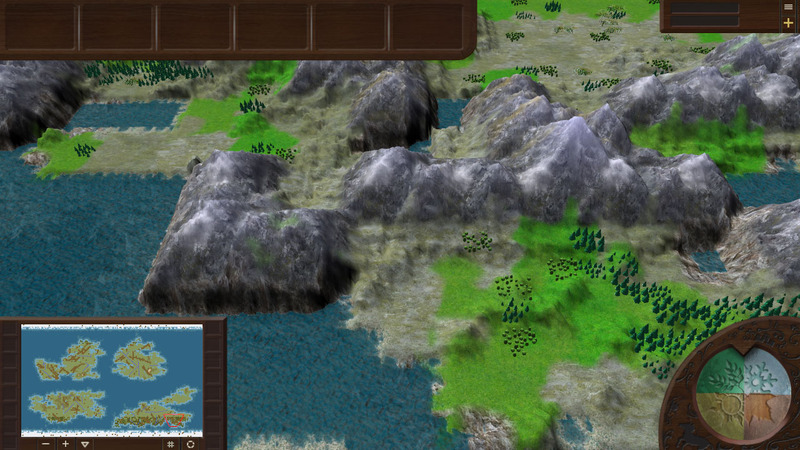 In addition, the district can include up to three wonders, one of each level.However, construction of a higher-level wonder reduces the effect of wonders of a lower level. 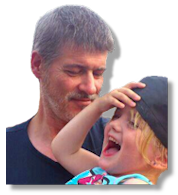 The wonder effect can also be reduced by the presence of a similar wonder in the zone of influence and visibility. The scale of the wonder influences its price and effect. In addition, the effect of a small wonder can easily disappear if certain conditions are not fulfilled, whereas the effect of a world wonder never disappears. 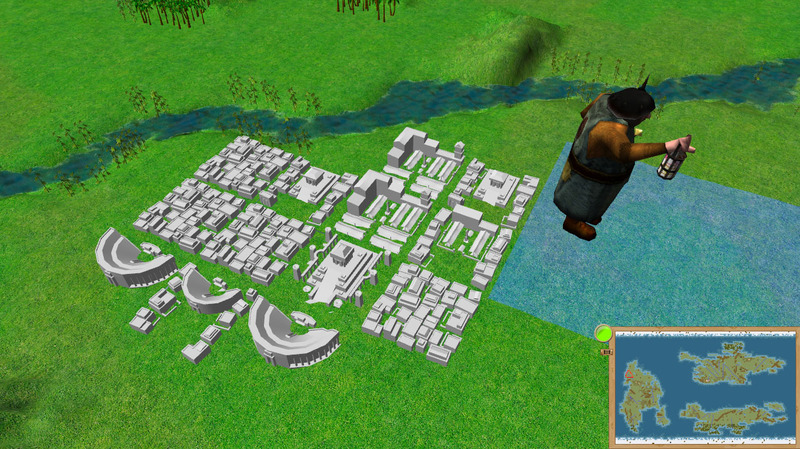 In addition to the wonders of the world and urban districts, the player can also build constructions outside the city - in regional and extraregional tiles. Cost stands for resources necessary for construction. 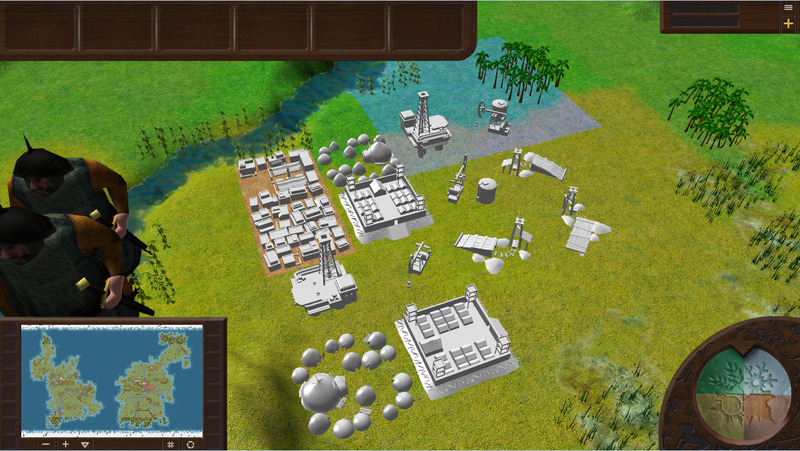 Supply includes resources necessary for ensuring the construction during each turn. Workforce is the number of working hands required for an efficient operation of a building. Location defines whether it is possible to build a construction only within the district or everywhere. Improvement - some buildings can be rebuilt into other more significant constructions. 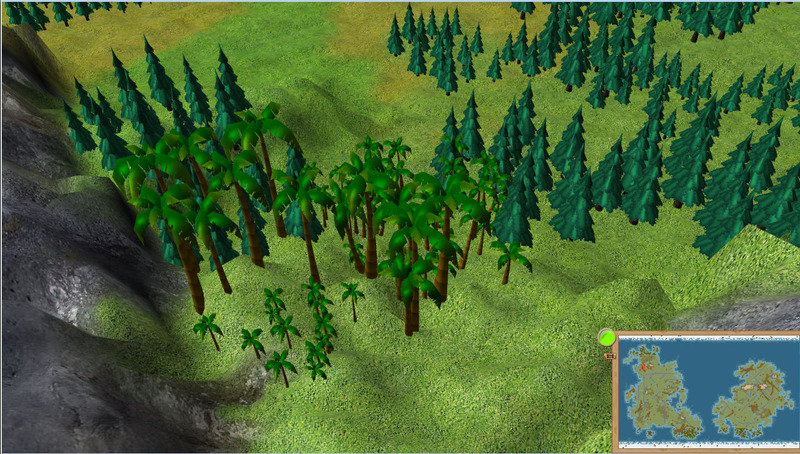 For example, a wooden advance outpost can be upgraded into a stone one. Accommodation conditions - most buildings can be built only in tiles with certain conditions. 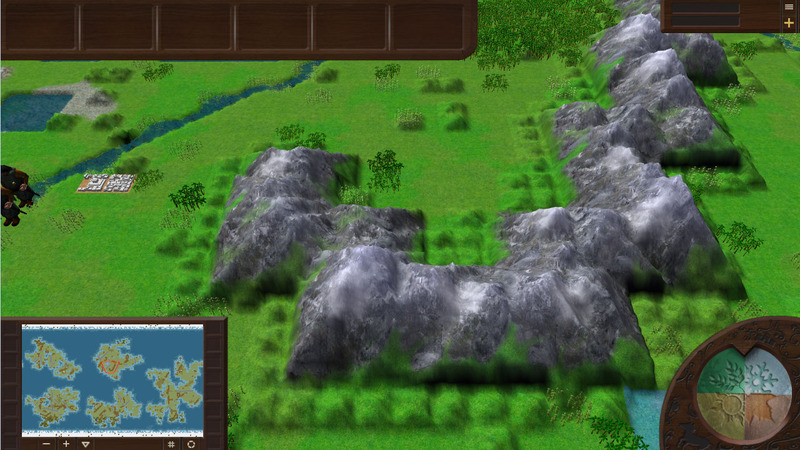 Effect - buildings can produce a variety of effects: from ordinary bonuses to the ability to extract resources and supply armies. Military: an outpost, a military base. 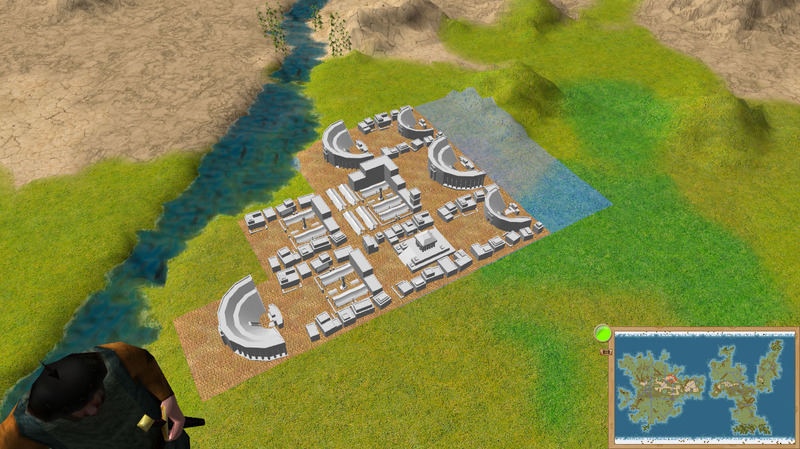 Unlike other buildings, outposts can be installed outside the district. The outpost has its own control zone, which complicates the speed of enemy forces passing through it, and decreases the level of crime in the district. In addition, outposts with a sufficiently high level of development of urban infrastructure can be converted into a city or village. The key indicators of domestic policy are the administrative burden and the administrative resource. The administrative burden is the level of constant administrative spendings on the management of the country, as well as various actions of the player. The administrative burden of the country is the burden of the regions and the highest governmental structures. The administrative resource is the management resource which represents the number of civil cervants and their management efficiency. 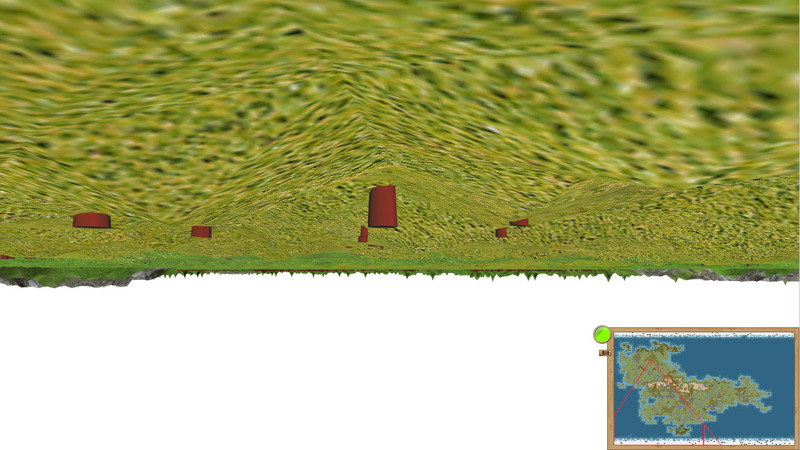 If the administrative load exceeds the administrative resource, the player begins to lose control over the regions. In addition, the administrative resource can be spent on corrupt practices. Corruption in the game is trade in administrative resource, carried out by the management apparatus. Like for any resource, the laws of supply and demand apply to the administrative resource. Strata that captured part of the administrative resource of the city, region or country get the opportunity to determine the actions of a chosen government institution. In addition to trade in the administrative resource, corruption is expressed in the form of an indicator of the region or government structures which determines the efficiency of budget spendings on their needs. Another important element of domestic policy is the form of government. It is a mixture of five elements: barbarism, community, democracy, oligarchy and monarchy. Each element can take a value from 0 to 10, where 0 is the absence of characteristics and 10 is its pure, pronounced characteristics. For example, a country may have the following form of government: barbarism (5), community (3) and oligarchy (2). Total expressiveness of all forms of government should be equal to 10, so to increase an element, for example, democracy one must reduce the strength of one of the remaining elements. Each of the elements of the form of government gives its own unique effect and when changing the form of rule the gameplay changes accordingly. Some of the technologies are closed from some forms of government. For example, rooted barbarism closes access to tax collection and trade technologies. For example, a strong monarchy gives an opportunity to pass a law on inheritance of power. Political values reflect the standpoint of the strata and factions on each of the political or parapolitical issues. In the course of the game they (of their own will or under the player’s pressure) can change their values, but, as a rule, it is painful and not fast. Post-values in the game reflect the attitude of people to the values of new, upcoming phases of development. For example, in the course of society's transition to the industrial phase of development, issues of emancipation of women, ecology and others became significant. The more loyal the society is to post-values, the more inclined it is to revise its other values, which can lead to social instability. The forms of government along with the political values of the elite allow to simulate all the basic forms of political formations. If the forms of government tell us who rules the country, then the laws show how the country is ruled. Laws can be adopted both for the whole country and for each region separately. The adoption of any law entails a temporary decrease in the loyalty of regions. Besides, the laws are not just effects, but also constant expenses on their maintenance. The lack of resources for the maintenance of laws leads to the fact that laws cease to operate, starting from the recently introduced and ending with the most entrenched. Finally, the domestic policy is expressed in the struggle for power. The lower the position on the list is, the higher is the massiveness, the number of victims and the cruelty of speeches; the current rules and regulations are followed less and the speed of the process is higher, but, in case of success of the action, reforms conducted by the new power are more radical. The basis of diplomatic relations in the game is the system of coalitions. Coalition agreements can be concluded between countries, between regions and even between the capital of the region and the settlements belonging to it. In fact, it is a universal pattern of establishing communication between administrative entities. The main resource of diplomacy is prestige. Prestige is a generalized measure of grandeur of an international organization, country, region or settlement. This parameter affects both the other administrative entities and the perception of any entity by the population. So, a city, producing a lot of prestige, can get a good income from tourism. And a country with high prestige can tempt other countries and regions over to its side. Espionage in the game is an agent network that is introduced into a particular region. The more developed the agent network is, the higher the chance of success of espionage actions or counteraction of foreign secret services is. 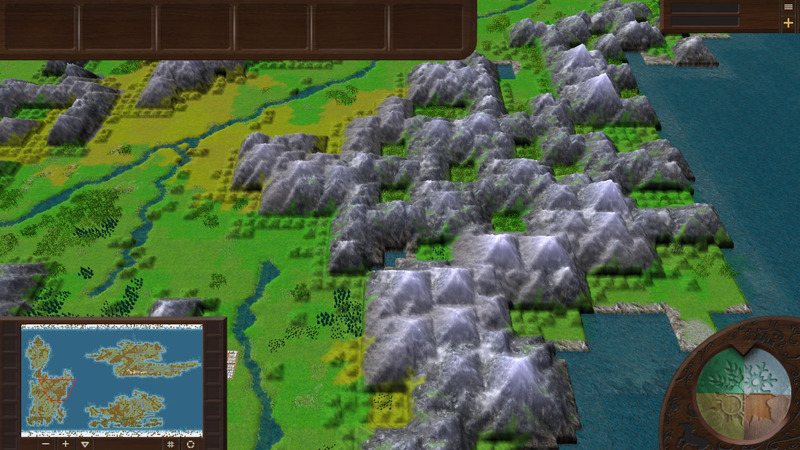 The population in the game is divided into strata and factions. 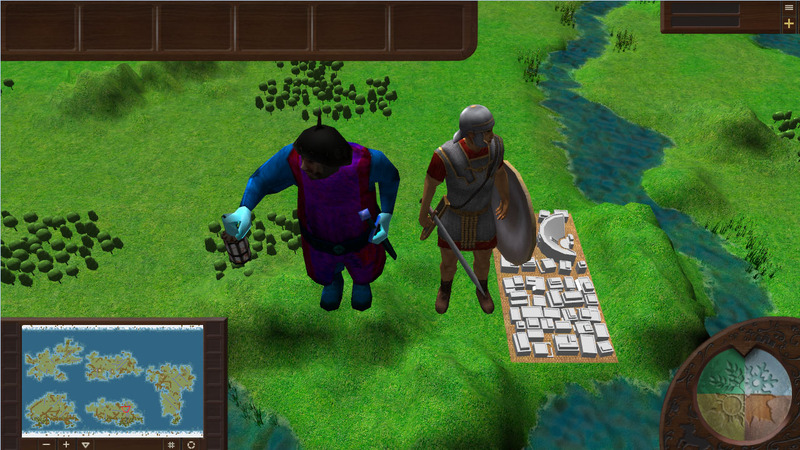 Strata reflect the professional role of the population in the game, whereas the role of factions is to fight for power in any of its manifestations. 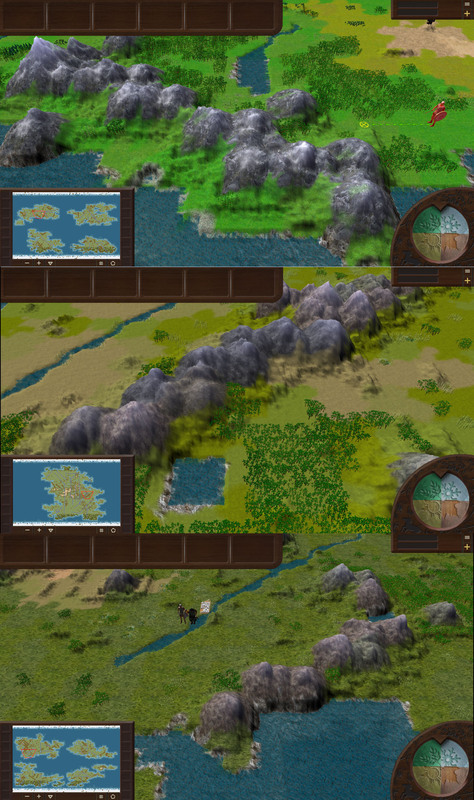 From the very beginning the game presents only part of the strata. The rest get available as technology evolves. Values are the views of a strata on the best government policy. Openness is the level of difficulty in entering and leaving the strata. The degree of attractiveness is an indicator that reflects the extent to which people seek to change their social and professional status and become part of this strata. In working strata (peasants, workers, specialists) attractiveness depends on the level of their income and unemployment in the industry where they work. The attractiveness of civil servants depends on the state demand for them. The attraction of slaves always equals 25%. The attractiveness of the other strata depends only on income. The minimum attractiveness is 10%, the maximum is 500%. In addition, the attractiveness of a strata is influenced by its rights, consumption level, entry into the elite and dominant values in the society. Size - the growth of the size of a strata depends on natural population growth and the entry/leaving of people to other strata. In addition, the size of a strata can change the losses in the war and during repressions. Fertility falls with the increase of consciousness of the population and when achieving a high standard of living. It is growing with the development of healthcare. Mortality falls when the population's living standards rise, as well as with the development of healthcare. Consumption level reflects the categories of goods that strata needs. These products are divided into three categories: necessities, everyday and luxury items. If a resident has no money for essential goods, or if these goods are not on the market, he is threatened with death.The level of happiness depends on the satisfaction of everyday needs, as well as on the consumption of luxury goods. The ability to buy luxury items is a factor of transition to more attractive strata, while lack of access to essential goods and luxuries contributes to the transition to less prestigious strata. Income depends on the wage rate, or on income from enterprises. Expenditure is expenditure on consumption, as well as contributions to the funds of the factions. Wealth is all the accumulated property of a strata. Wealth increases due to the fact that strata keep part of their income. Wealth decreases with high crime level in the settlement or its looting, growing in the course of accumulation and investment activity. Unemployment exists only in working strata. Crime is the proportion of strata involved into criminal activity. Consciousness is the level of political culture and simply civic consciousness of the population. The loyalty to the authorities reflects the level of support or opposition to the ruling regime. It can take values from -5 to + 5. Civil, political and social rights are set by political decisions. Literacy reflects the level of theoretical knowledge of strata in its professional sphere and the degree of its qualification. Culture stands for belonging of a strata to a certain culture. Religion is belonging of a strata to a certain religion. Migration occurs between settlements if they are connected by roads. People will migrate between the settlements of the region, from one region to another, if there is a shortage of working force, the prestige of the settlement and the living standards of the population are higher etc. The quality of the road network determines the volumes of migratory flows. In addition to strata, the game includes factions (groups of interests) that represent the force that can influence the political situation in the country. Size stands for the number of supporters of the faction. Goals/values are goals and/or values that determine the direction and nature of the faction's activities. Openness is the level of difficulty of entering the faction. Prestige reflects the attractiveness of the faction among the other factions, as well as the degree of influence. Wealth is a foundation which deductions are made into by members of the faction and other factions/organizations. Radicalism is readiness of the faction to illegal actions. Rights stand for the level of political rights of the faction. Cohesion is the level of strength of the faction and the ability of its members to act as a whole. Breadth of views consists in the hope of increasing the number of its supporters. The faction can expand the scope of its value views, but this makes it lose cohesion and weight of each faction member in its cumulative effect. Culture is ethnic affiliation of the peoples inhabiting the country. The combination of these principles allows to create 16 unique civilizations. Civilizations are not a homogeneous mass, but a collection of many heterogeneous cultures whose values are conditioned by civilizational principles. Cultural values, in fact, represent the imposition of civilization principles on each other. All in all in this way each civilization can form up to 220 unique cultures (i.e. 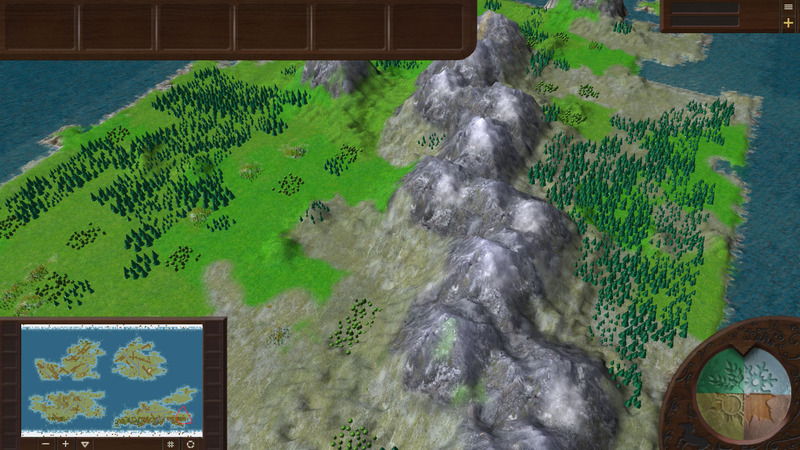 in total in the game there can be up to 3520 unique cultures and 16 civilizations). The civilizational principles also define the peculiarities of religions of certain civilizations. 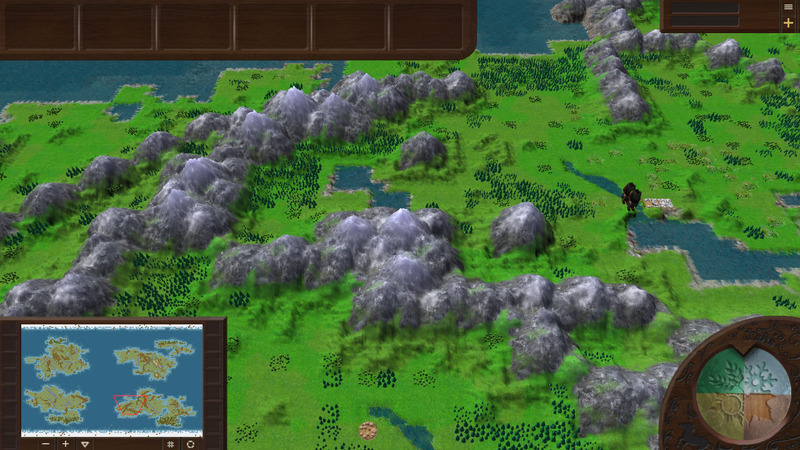 The player is allowed to carry out cultural assimilation of villages and cities into the state culture at the cost of reducing control over them. The process of cultural assimilation takes dozens of turns. 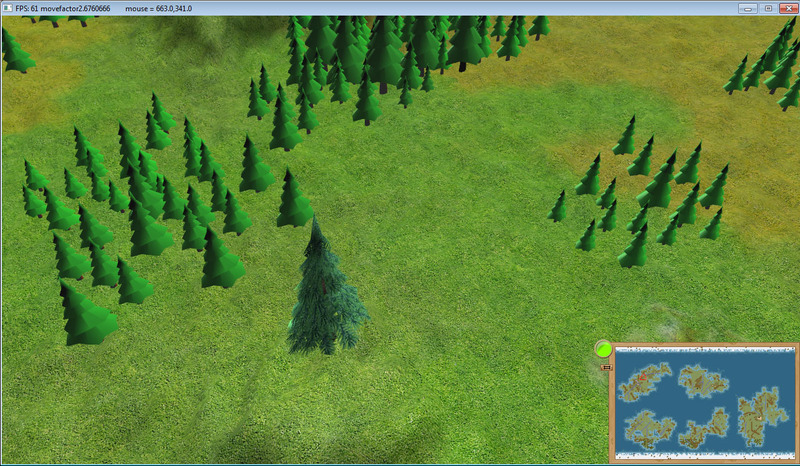 Players can also change their state culture. This process takes several turns. In the course of changing the state culture, control over those villages and cities that have a former state culture falls sharply. If the value aspect of religions depends on the place of their origin, their organizational type is determined by the player. Each of the religions has a certain level of influence, which depends on the development of religious areas where this religion prevails. Types of economic processes include hunting, fishing, cattle breeding, agriculture, extraction of raw materials, commodity production, slavery. 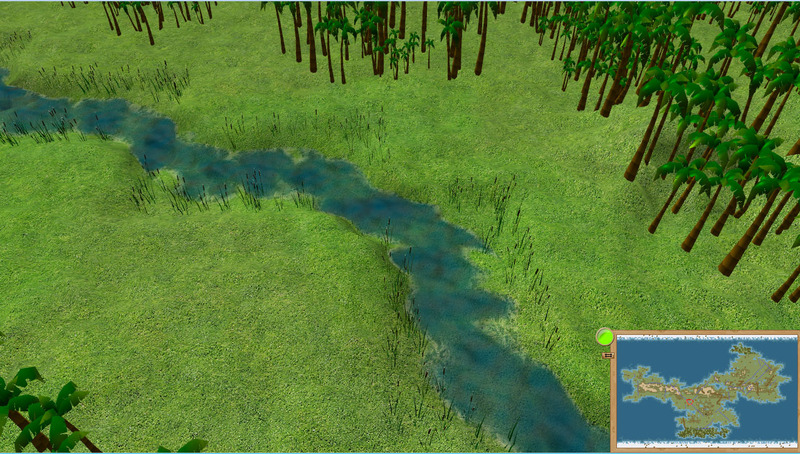 Hunting - with the help of hunting the tile gets a certain amount of vegetables, fruits, meat and cattle from all the unprocessed subtiles. Fishing is carried out in river locations, as well as in water coastal locations. 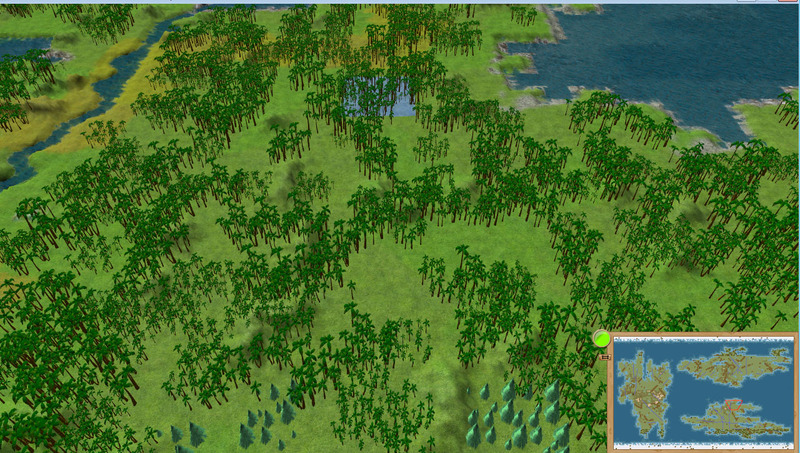 Similarly, the hunting region gets some amount of fish and pearls. Cattle breeding is a more productive type of activity. The area of pasture lands is important for cattle breeding. It depends on the type of landscape, the type of buildings and the level of woodiness of the tile. Pastures as source of improvement of locations increase the effective area of pasture lands. The lack of grazing lands leads to a decrease in the number of cattle in the region. 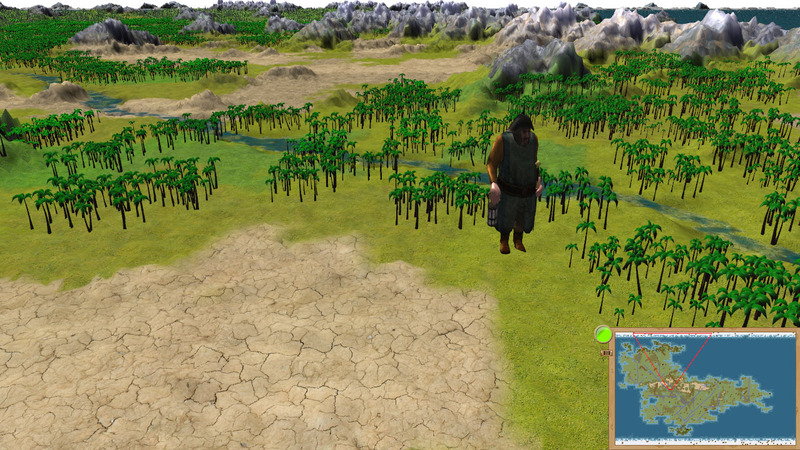 Agriculture is the most massive type of economic activity in the game. It includes the largest number of working hands. Grain is both a product of agriculture and a necessary condition for its maintenance. Grain is distributed to locations from the region's reserves. Number of working hands and intensification of agriculture. Livestock, as well as improved instruments of labour, can increase productivity. Among the strata and factions holders can be small, medium or large. Each of the types of property has a certain entrepreneurial potential. So, the entrepreneurial potential of the community is lower than that of small holders. On the other hand, the community is extremely effective in difficult conditions of management. Trade in the game is divided into internal, external and distant. Internal trade is carried out in the territory of one country between all the settlements having trade routes with each other. External trade is carried out between all the regions of one trade center. Long-distance trade is carried out between two connected trade routes by trade centers. A trade route is a regular land and/or sea path connecting two settlements with each other and the regional capital with the army it supplies. 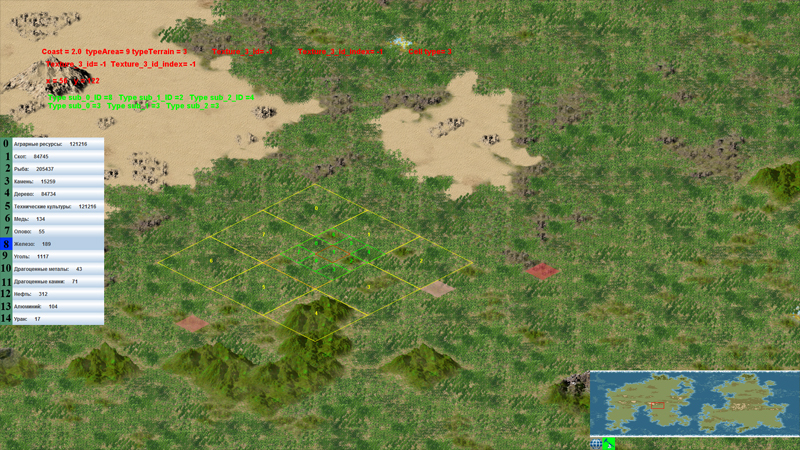 B) Place armies at unprotected areas (the area of protection can be selected by moving the slider in the army menu. The larger the area is, the more dispersed the army is along the route and the weaker it is in protection). The price of the goods is determined basing on the cost of production + costs of implementation + mark-up. The mark-up is determined automatically based on the maximization of profit, competition and price constraints. Resources include raw materials or goods necessary for the production of another resource or satisfaction of the needs of the population or the army, maintenance of buildings or spending on certain actions. Quality is the quality of the resource, depending on the technologies used for its production. It affects the cost and mark-up. Price is the amount of gold per unit of the resource. It depends on the value of demand and the value of the supply of the resource, as well as its production cost. Production is the number of units of the resource produced. Consumption is the number of consumed units of the resource. - Peasants produce a certain amount of grain and then either pay a natural tax, or sell it in the local market, and then pay the tax in monetary terms. The remaining volume of grain is used as food, for new sowing and, if there are surpluses, for sale in the local market. - The tax paid by the peasants passes to the ownership of the country or regional elite. - Regional elites either pass a part of the received tax to the state, or leave all to themselves, depending on the established order. Available resources can be both sold and spent on their own regional needs. - Finally, merchants who buy a resource in the local market sell it at a shopping centre which the region belongs to, or in the capital of a region of one state at a more attractive price. The first level of technology represents the general level of development of one or another sphere: agricultural, industrial, military or social. The second level of technology includes specific technologies, the condition for the invention of which is, among other, a certain level of technologies of the first type. The third level of technology is technological packages that group second-level technologies. It is technological packages that set the effect for different systems in the game. Implementation of technologies is carried out by means of investment by the state or population of money resources and administrative resource into introduction of a technology. The bigger an industry in which a certain technology is implemented is and the less well-known countries and regions of the country with this implemented technology exist, the more expensive the implementation is. Countries active in trade are increasing the chance of implementing the technologies that had been introduced by the trading partner. The main resource of the army are recruits. The number of recruits reflects the number of people who the authorities are able to transfer to military service. The number of recruits is slowly increasing over time, but is quickly exhausted in intense military conflicts. Officers are a separate category in the army. They are recruited as part of recruiting, but the ability to occupy this position can be closed for some of the countries. Army is a group of troops under a single command with its control zone. A control zone is divided into a response zone and a combat zone. As a rule, the response zone has a radius of 4 tiles. 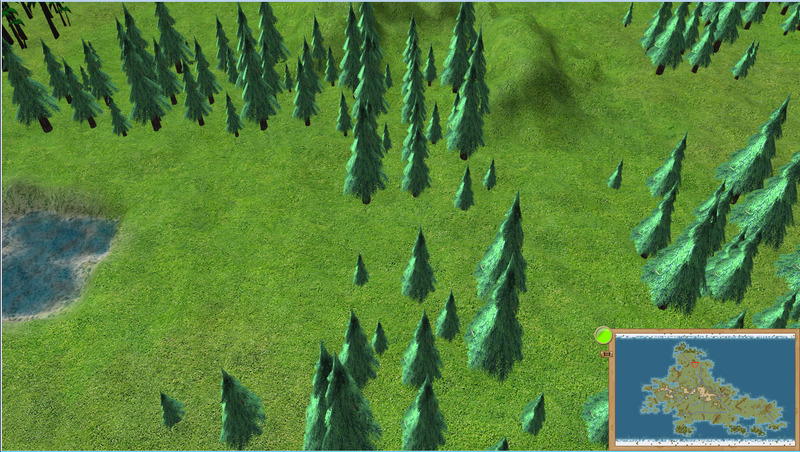 When an alien army enters it, it activates the line of behavior set by the player. The combat zone is an area of 1-cell radius. 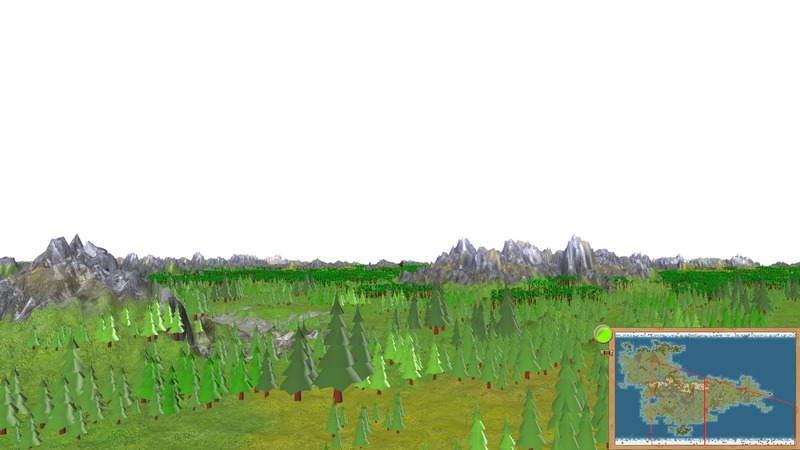 When an alien army enters it, it stops its movement and forces the player to enter the battle. Moreover, with the growth of military technologies and, consequently, the scale of wars, the control zone can increase significantly. Thus, the zone of control in positional warfare, typical of world wars, can reach the size of the region. Each army must be assigned to one or more regions. The designated regions will continue to supply this army. Replenishment of the army reserves is carried out through a trade route of supply from the region to which the army is assigned. Roads can contribute significantly to accelerating the supply of armed forces. In addition, it is possible to replenish stocks by plundering the local population. The fighting efficiency of the army, left without supplies, sharply falls, while the speed of movement decreases and action points are reduced. It also means that in order to win over a strong army it is not necessary to win it in an open battle - it is enough to cut the lines of supply communication. Replenishment of the army is also carried out through trade routes of supply, which in addition to supplies (food, weapons, pack animals) will transfer new recruits. It is possible for armies to establish automatic reinforcements for other armies of the player located on its territory or in the zone of another army’s control. At the beginning of the turn each army has a certain number of action points (AP), which can be spent on a movement, the beginning of the battle, siege or change of the state of the army. The AP cost of the movement depends on the area and infrastructure development. Speed of the army equals the speed of the slowest kind of troops in it. 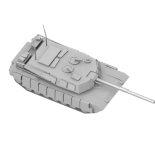 Ambush gives the army a chance to escape from the enemy’s visibility distance, increasing the characteristics of the attack, but reducing the protection characteristics in case of ambush exposure. The army can adapt up to three different tactical circuits. Tactical schemes increase the combat characteristics of some troops, but can reduce the combat characteristics of others. Or they can amplify some combat characteristics, but reduce the others. For example, the tactical scheme "phalanx" increases the close-in attack for spearmen in general and against cavalry in particular, but it decreases the speed of movement and its ability to maneuver. Therefore, in such a tactical scheme additional attention should be paid to the saturation of their army with cavalry. A tactical scheme is also a familiar pattern in the fight, the way of thinking for the generals, so change of an accepted tactical scheme can be quite painful: it leads to a loss of experience for the entire army. At the end of the turn for the enemy armies, which came together at a normal location (without a fortress or city), the battle is calculated. The battle consists of two phases. It involves all the troops capable of a long-range attack. All the troops are involved in it. Only a limited number of troops can participate directly in the battle. Their number depends on the technology and the area. The rest of the troops are in the standby mode. 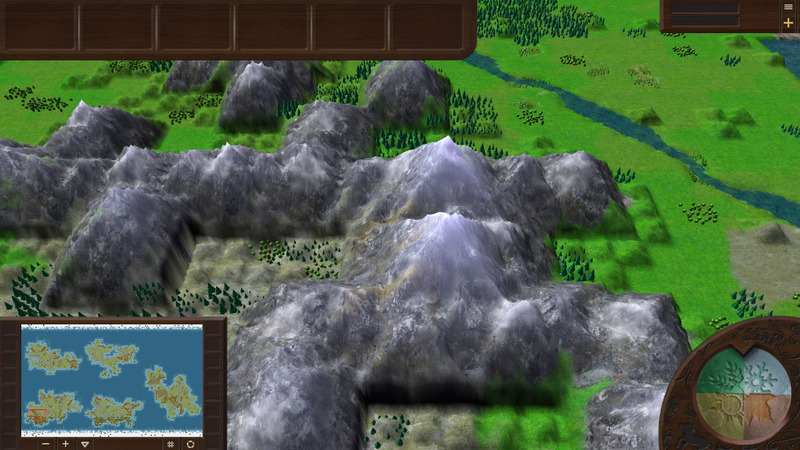 For example, in the mountains it is quite possible to stop quite a large army. The formal winner of the battle is the one who leaves the battlefield. However, the gained experience and state of the army after the battle play a larger role. It is impossible to take a fortress or a fortified capital without siege-assault engines. 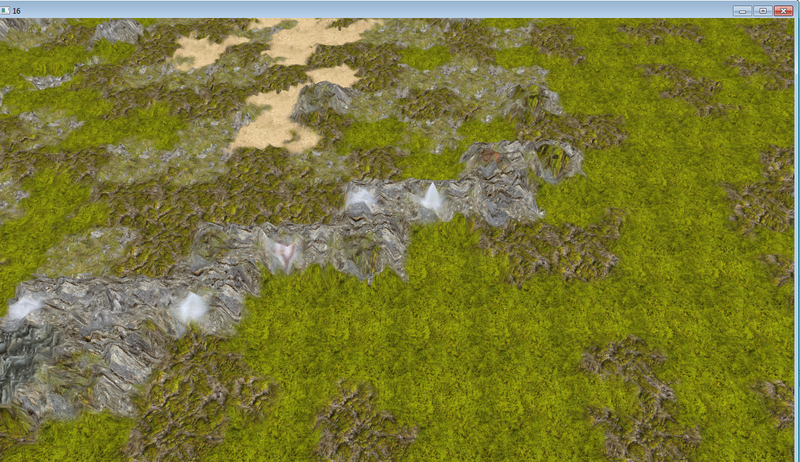 Also taking a fortress or fortified capital always requires a minimum of 2 turns. In the first stage of assault it is necessary to break the fortifications and enter the besieged settlement. The battle at this stage consists of two phases. It involves all the troops capable of a long-range attack and siege-assault engines of the attacker. The purpose of this phase for the attackers is to capture the wall of the settlement, and for the defenders-trivia attack. If the attacker managed to capture the walls, the next turns begins with the battle for the settlement by the rules of the battle in the open field. However, for the final victory the attackers must destroy all the troops of the defenders, and not just win. Only then the settlement will be completely seized. 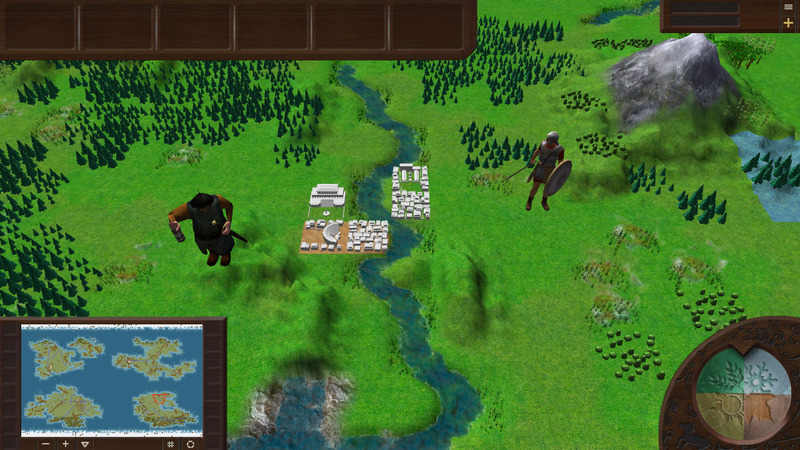 Thus, battles for cities, which consist of more than one location, can last during more than 3 turns, as each part of the city will have to be captured separately. Fleet is a group of ships under the authority of a single commander with its control zone. As a rule, the zone of control is an area with a radius of 3-6 locations. When the alien fleet enters it, it leads to the sea battle. The radius of the control zone increases with the growth of technologies and experience of the fleet crew. Unlike the army, the fleet is not assigned to any region and is supplied by all of them. To exit the port, the fleet can bring a limited amount of supplies. Supplies include food, weapons and building materials. For replenishment of supplies it is possible to go to any friendly port. The fleet, left without supplies, sharply loses fighting efficiency while the speed of swimming decreases and action points get reduced. During the battle ships can get damaged or lose a part of the team - to repair and replenish the team again you have to go to a friendly port. The fleet receives a number of action points (AP), which can be spent on swimming, repair and replenishment of supplies, boarding and landing of the army and the beginning of sea battles. The sea battle is not divided into phases and represents individual battles between ships of fleets. The formal winner is the one who retained the highest morale of the fleet. But I have exceeded the capabilities in 2D graphics performance in Java. 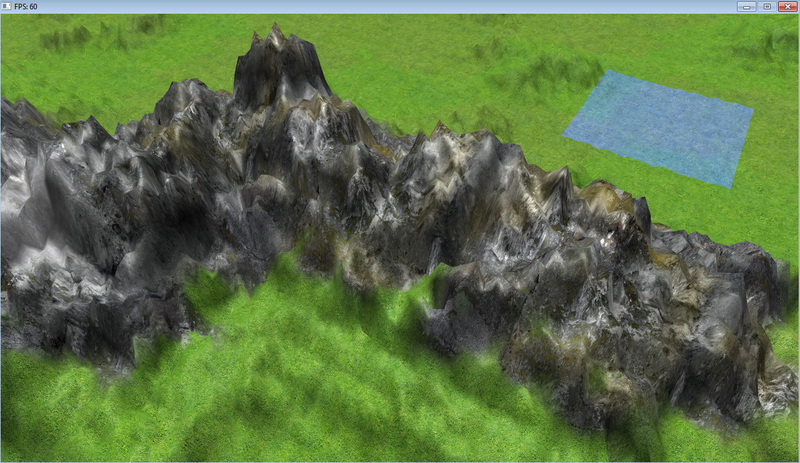 And started working on the 3D version of the project. 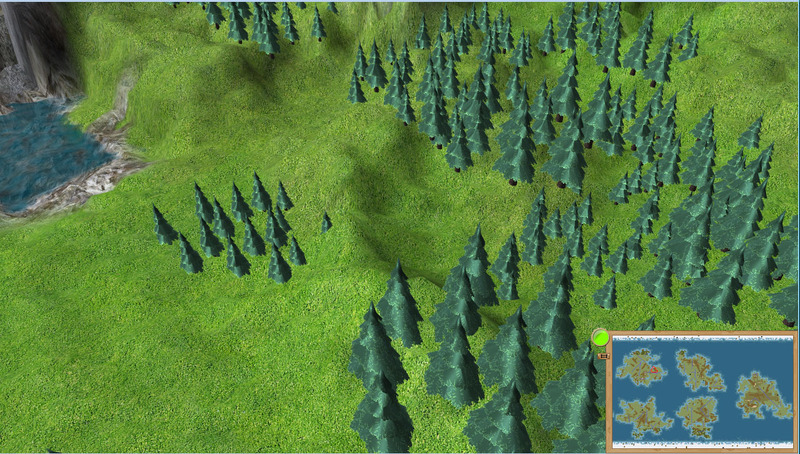 At this stage, I worked with game designer on the project. 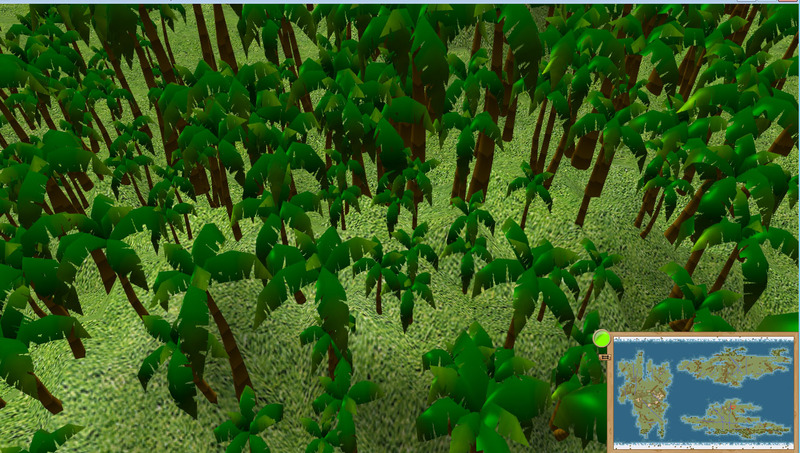 Together we developed a mathematical model of the future game. 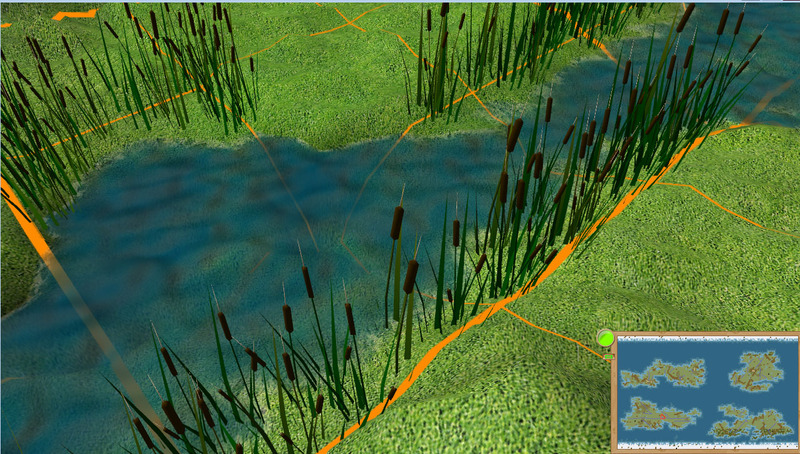 But we were soon joined by the 3D Modeler and the work began! 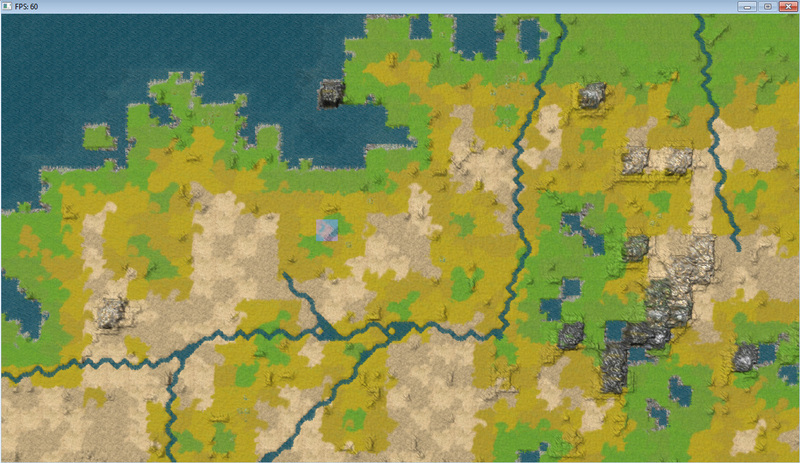 Soon emerged the first city! Hi, thanks for sharing your progress on the game. 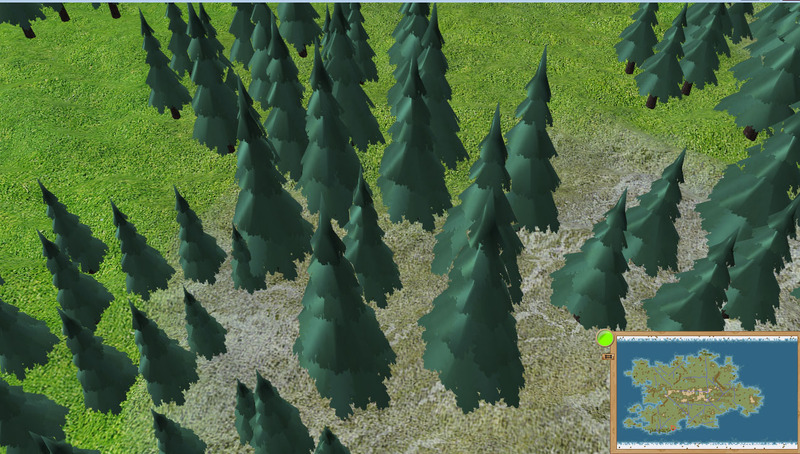 I think it would really add to the scene by having the terrain under the trees a bit darker / shadow under the forest. 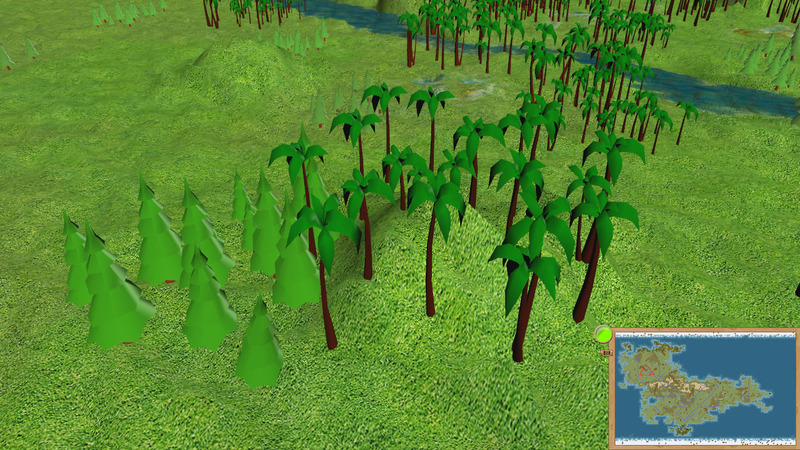 For example by using a simple addition to the vertex shader to lower the brightness of a vertex, depending on how many trees are nearby. Thanks for the note. I haven't worked with shadows yet. This task I have in todo. But it will be solved later. 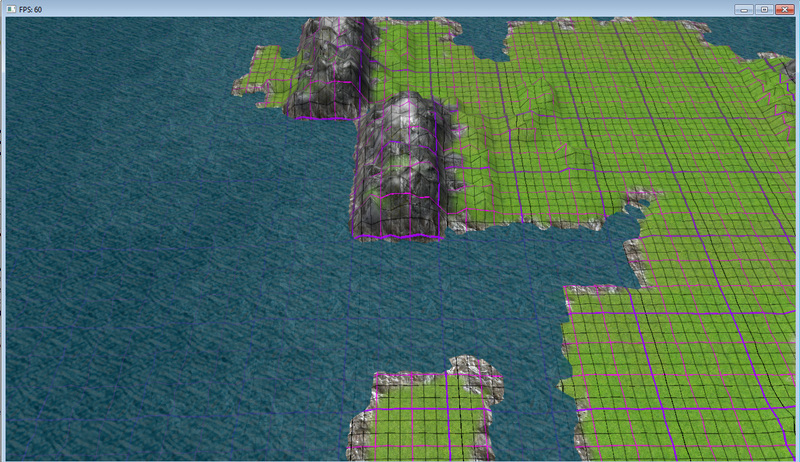 Now the main task is to build a mathematical model of the game. The visual part will be finalized later. Working on the logic here first makes sense. And especially having an AI that makes efficient decisions, given the rule-set. As a starting point in the systems design (I don't know how experienced you are here with that kind of complexity) I would suggest: scale the feature set down and get core systems such as building, exploring and combat working first. There is always room later to add systems that make it more complex. Experience in this matter is not much. But I'm going by this technique that you wrote. What is the most interesting organization of cities? Quite an ambitious project, I'd like to see your game on Steam when finished. Best of luck with developing! Thank you! I also hope that enough strength to bring the game to release. 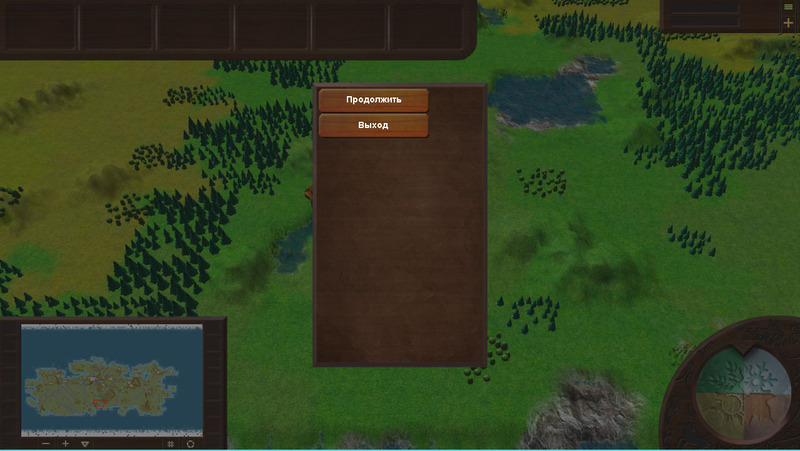 As you can see from the screenshots, the interface began to be established. 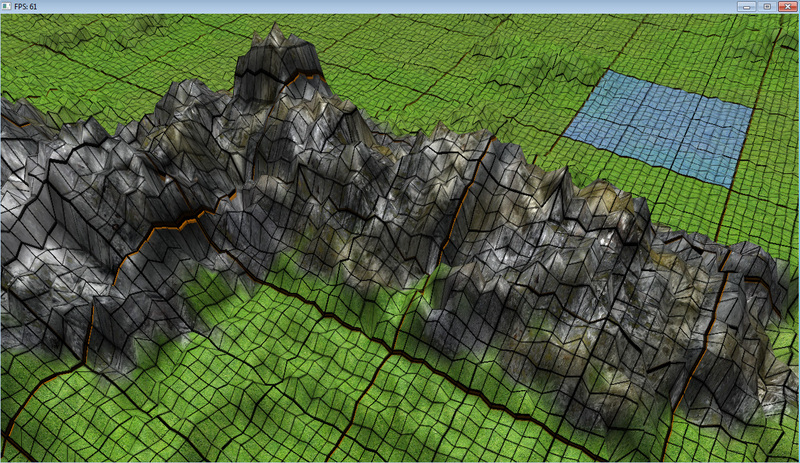 All the complexity of the implementation of adequate mountains in a small grid... Can anyone normal the mountain to make the grid of 21x21? Thank you! I try to make it presentable. 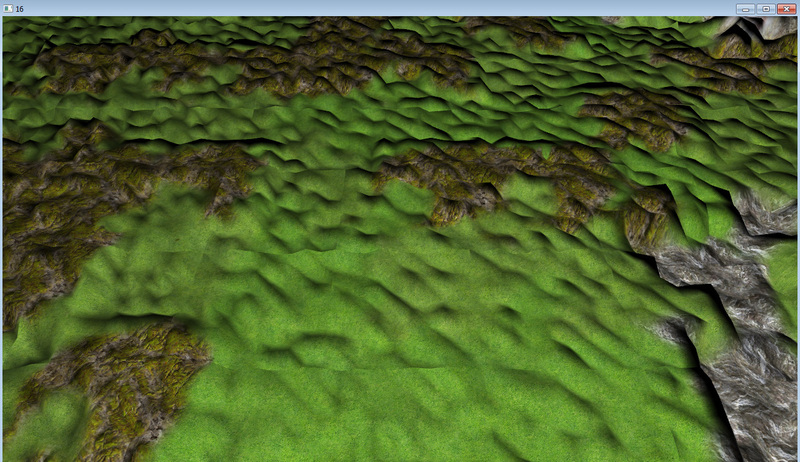 New textures for terrain. Look a lot more natural? 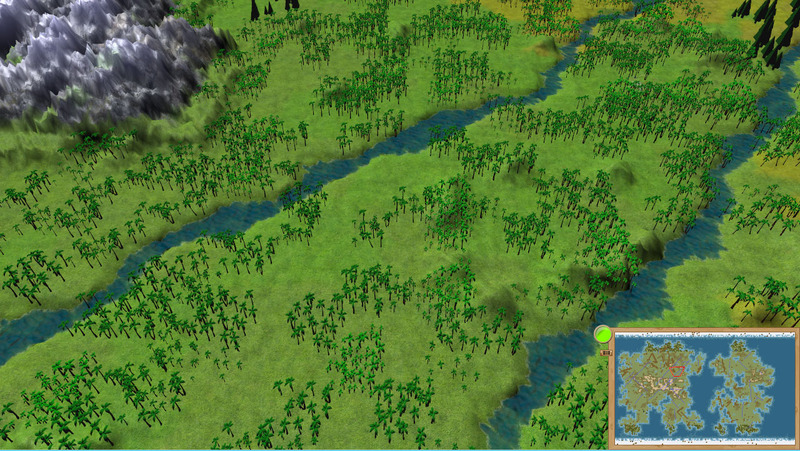 The colors look good overall, the greenest green is a bit too saturated imo, i can't stand looking at it for too long. 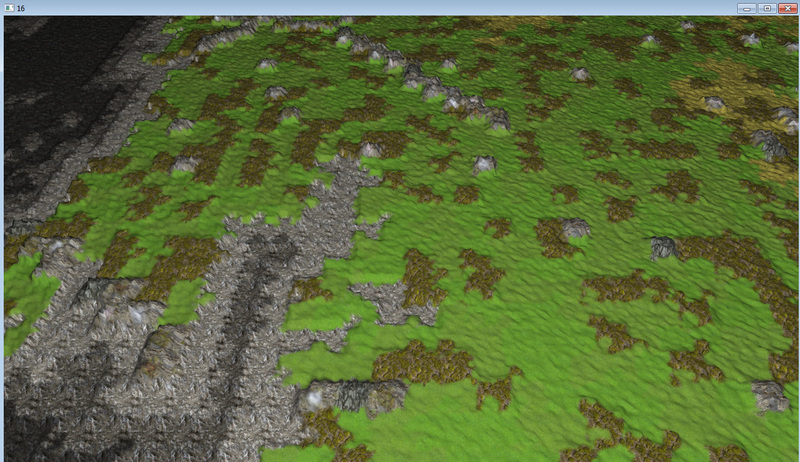 You definitely need some large/medium scale color variation or detail-textures for you terrain coloring. 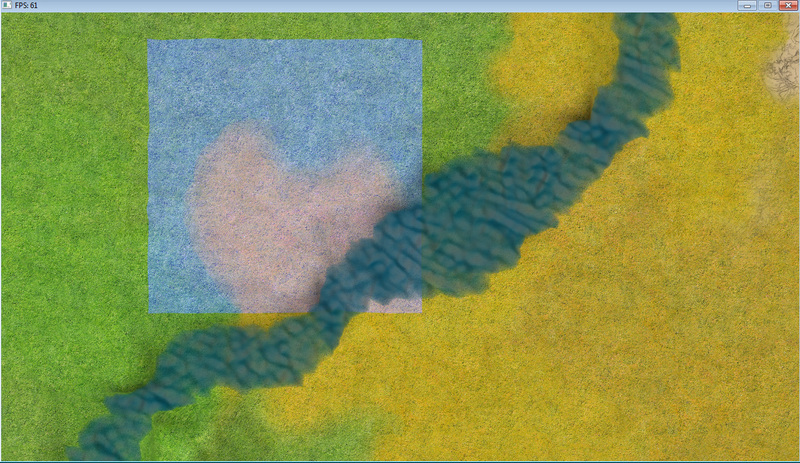 You already have small scale noise in there and it makes it look better but the surfaces still appear flat. 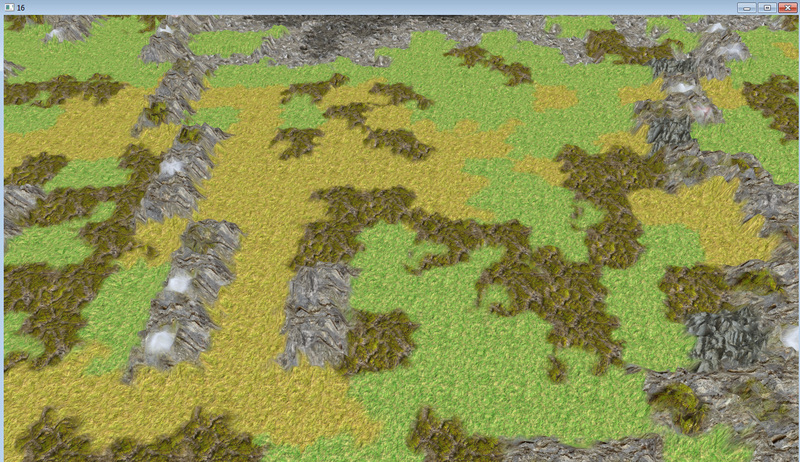 Notice all the small streaks and islands of color-variation in the grass surface in the upper half of the image? Thanks for the comments. 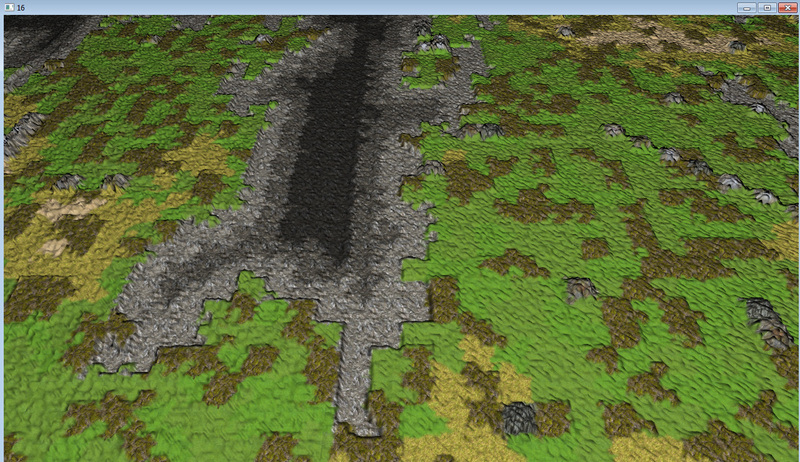 Do the textures look flat. 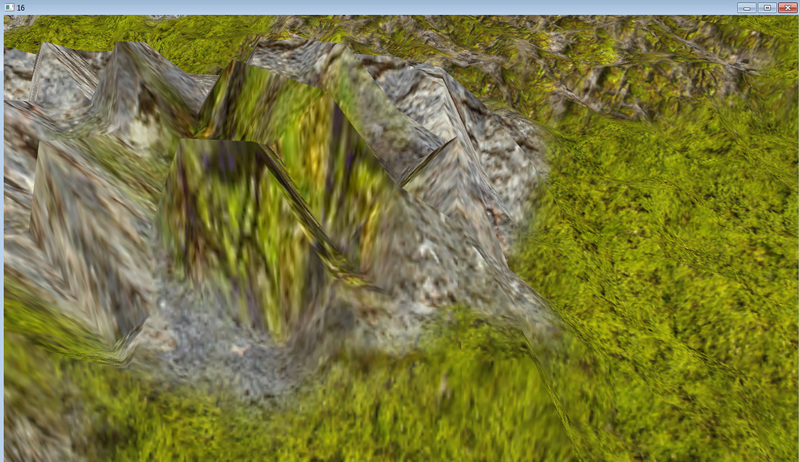 But I can not make such textures as not an expert in this. If you help me with this I will be very grateful. You don't have to make them, just grab some textures from *INSERT TEXTURE SITE HERE* and mix them with your current texture in your shader. 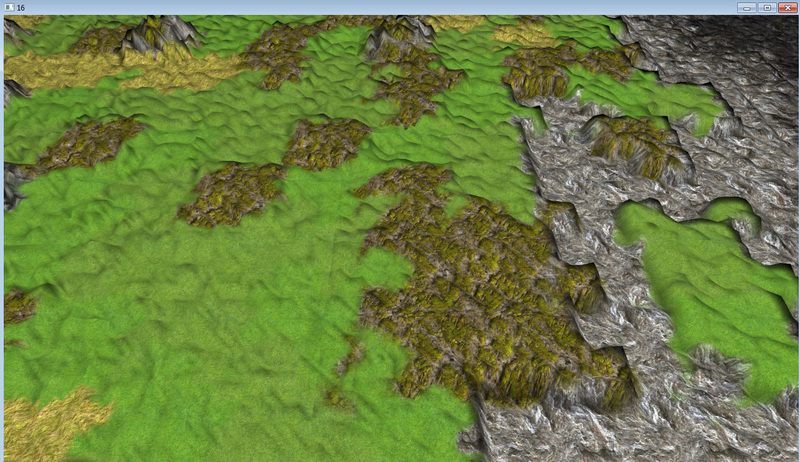 I used this site a lot before, they also have tiled textures. 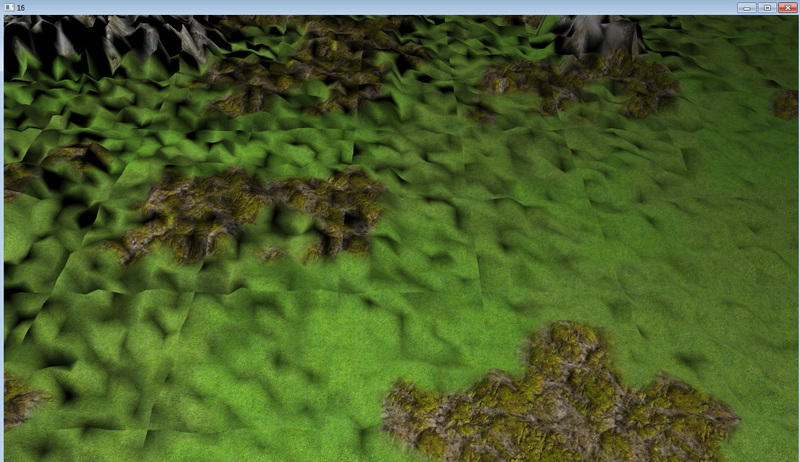 I'm trying to make is not flat textures, but they dazzled.